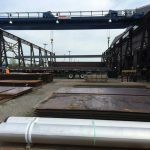 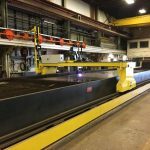 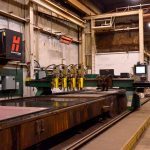 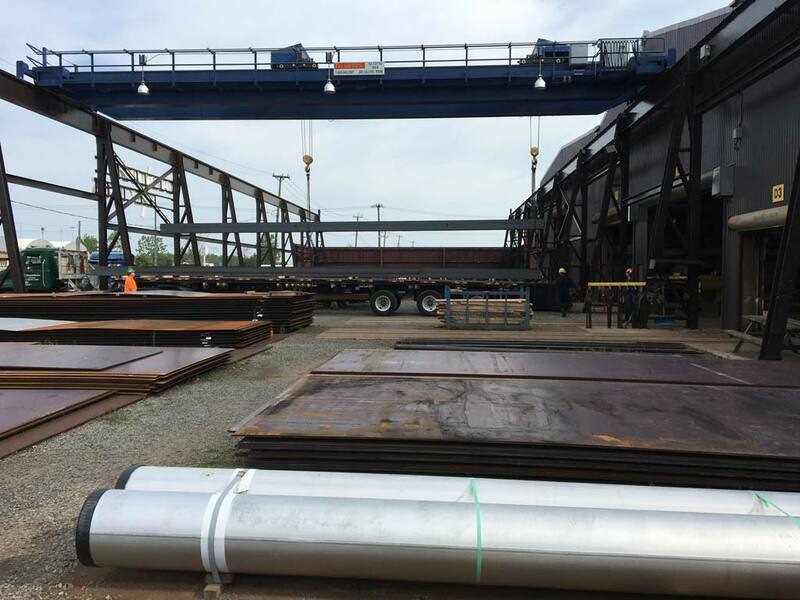 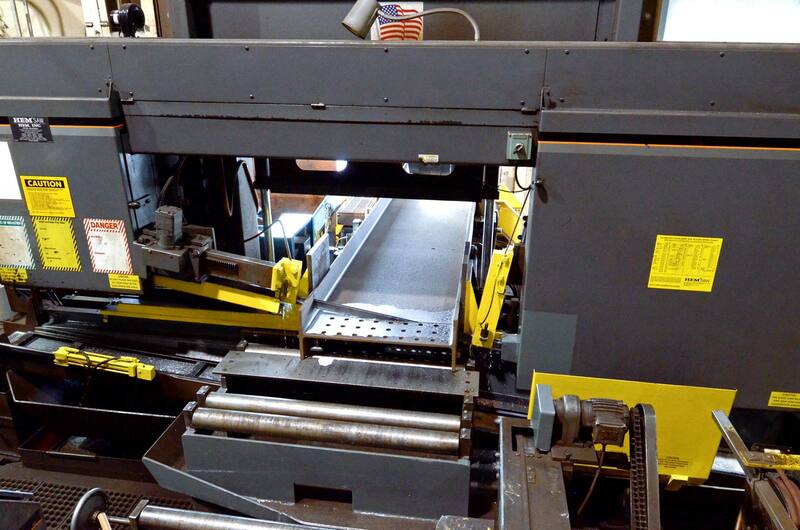 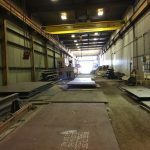 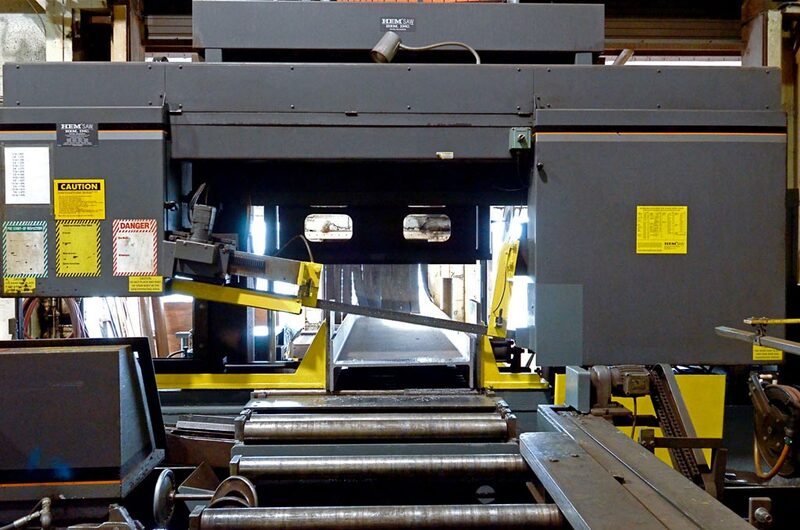 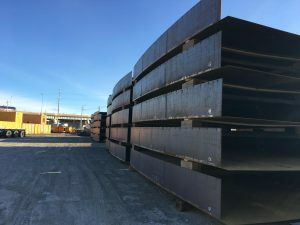 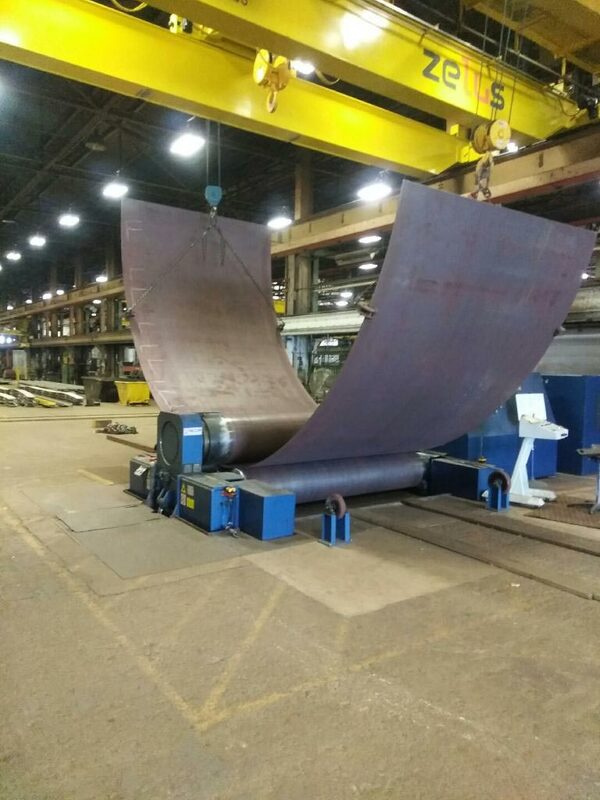 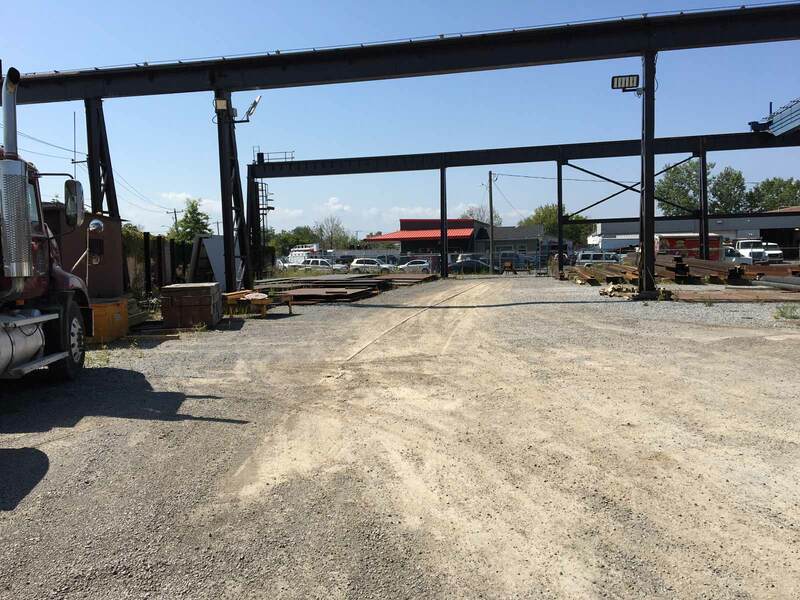 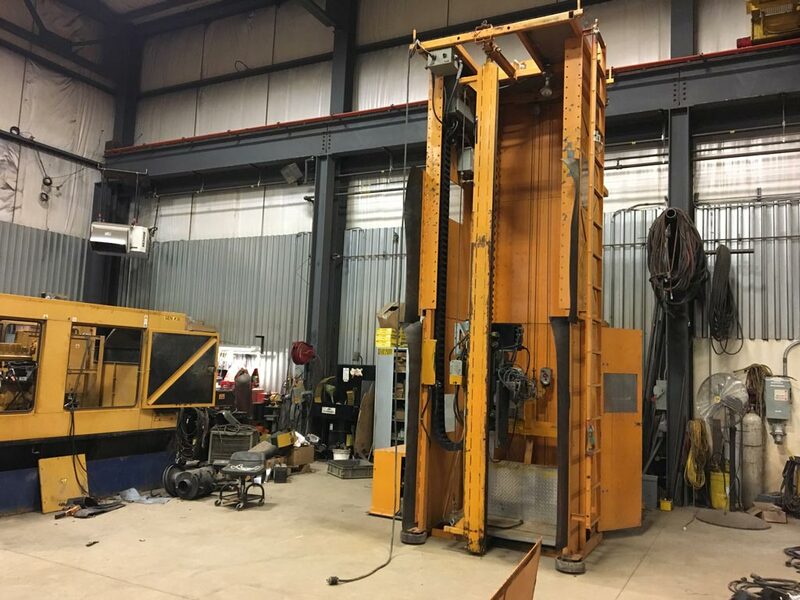 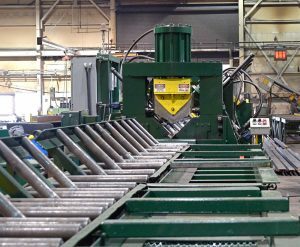 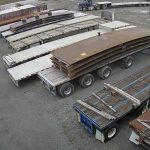 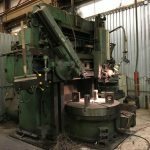 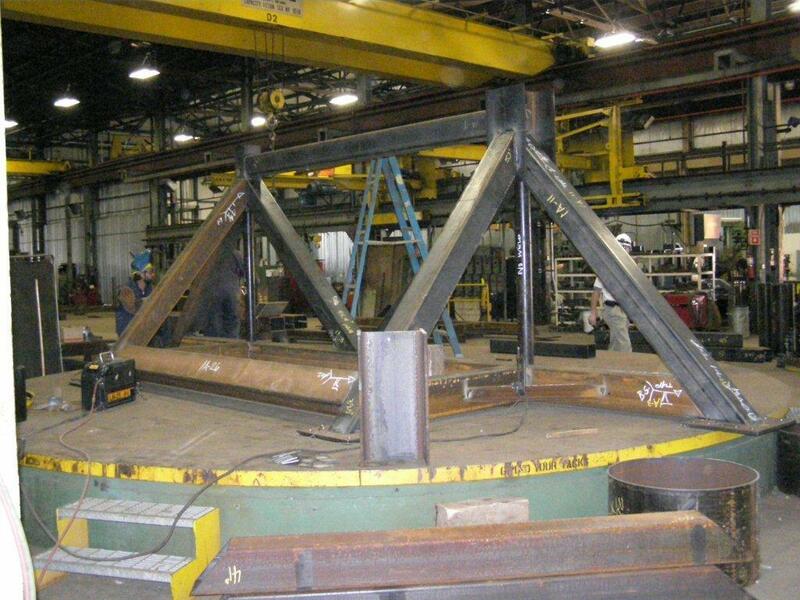 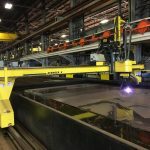 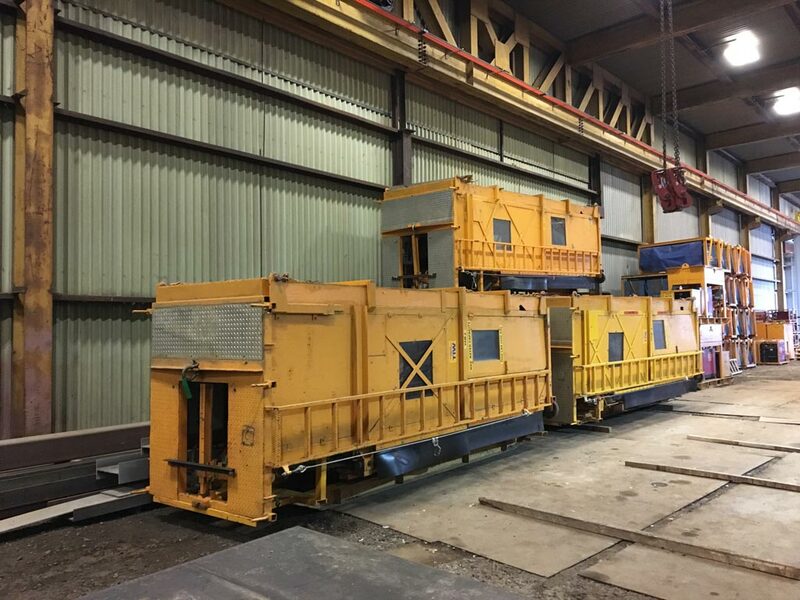 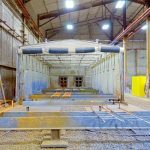 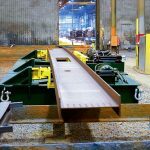 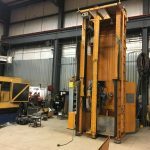 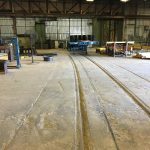 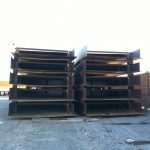 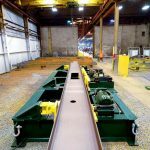 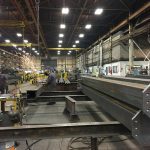 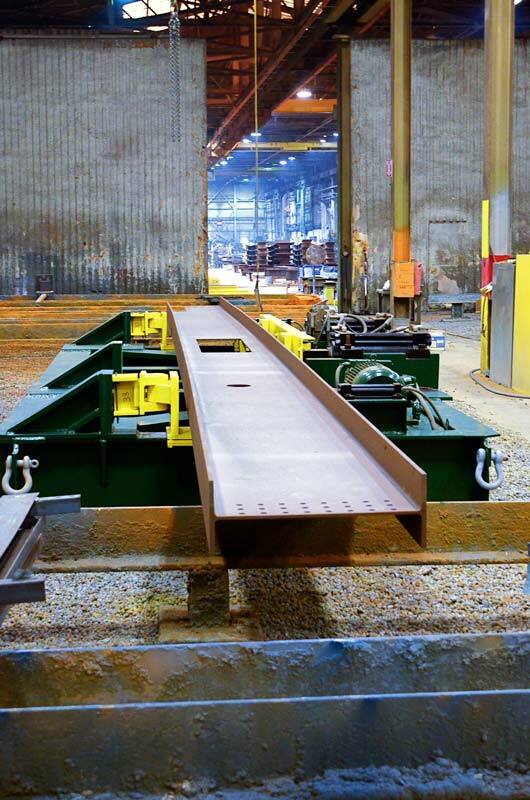 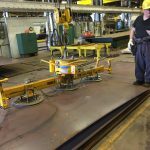 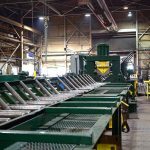 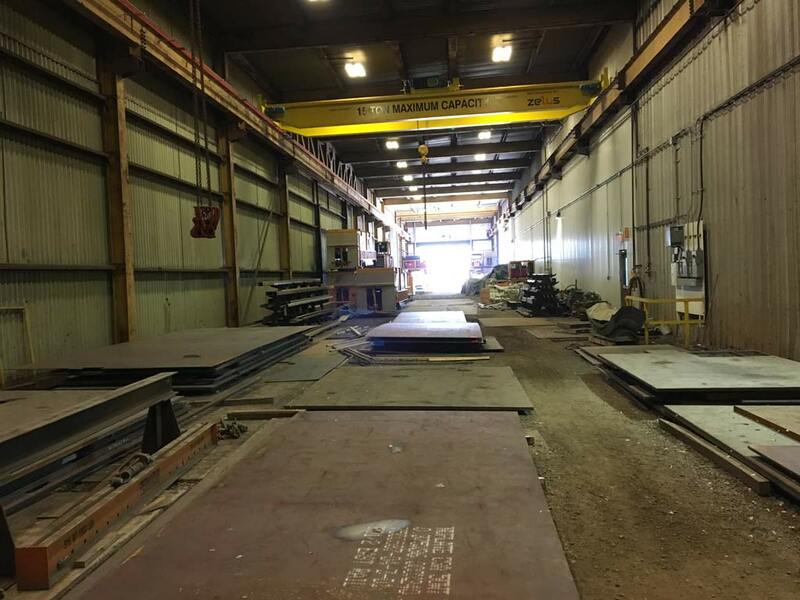 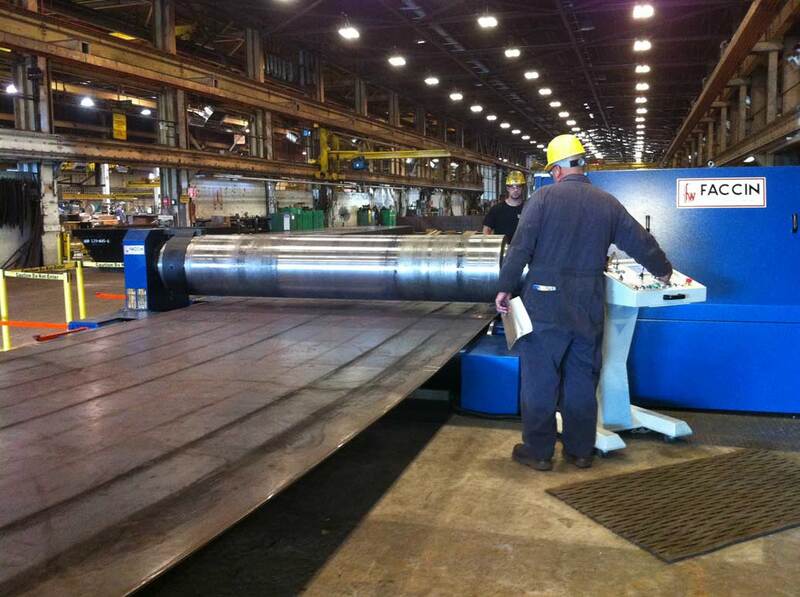 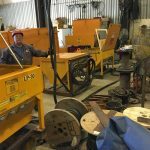 Operations & Facilities - TIW Steel Platework Inc. 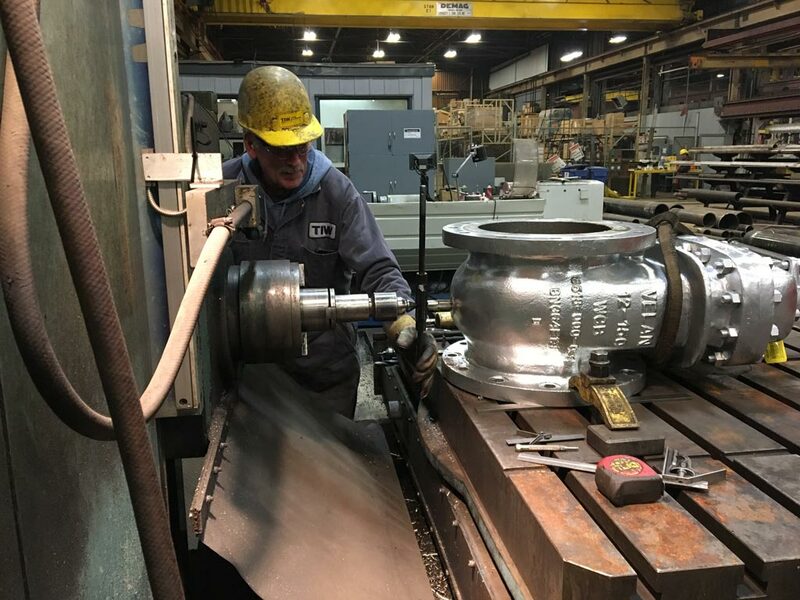 Throughout our 100+ year history, TIW has continually improved every aspect of our operations, always believing that we can offer our clients even more value. 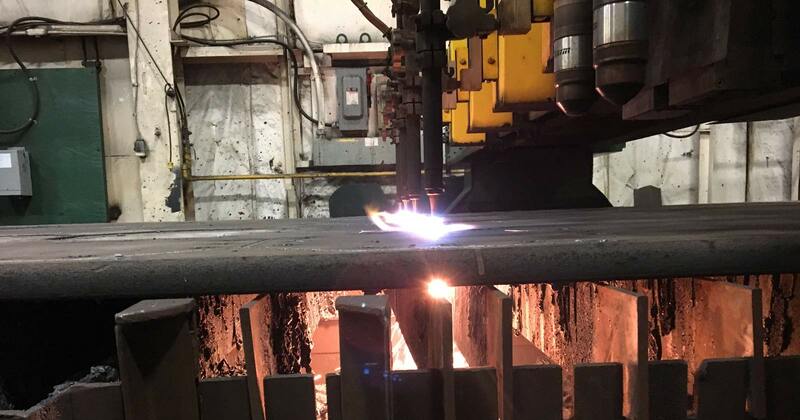 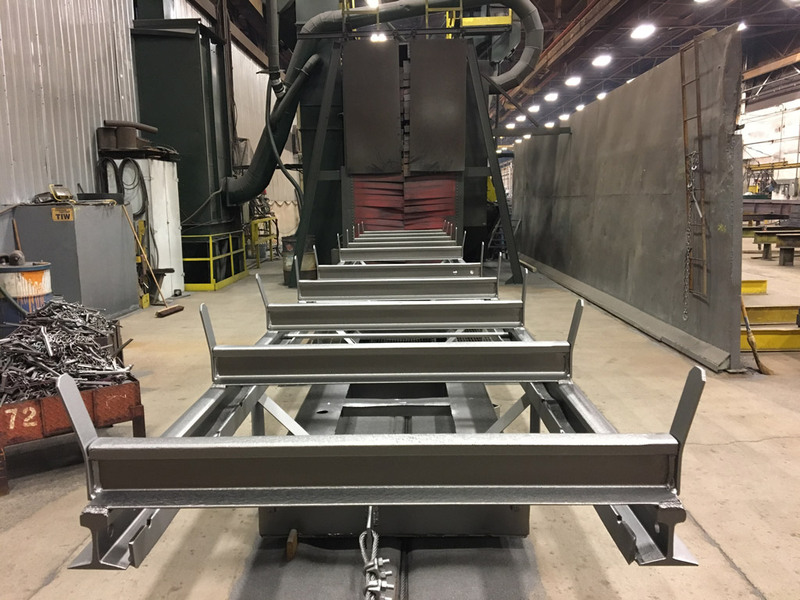 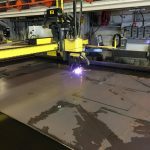 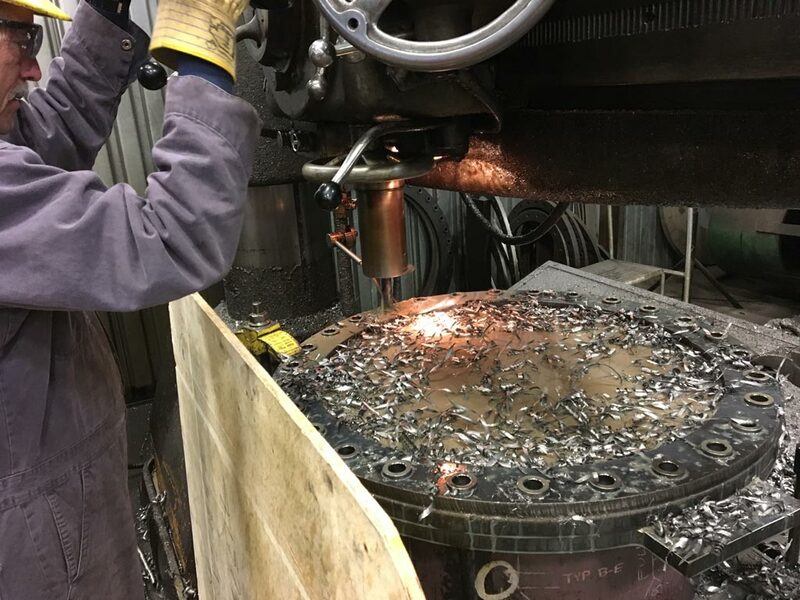 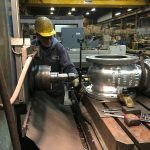 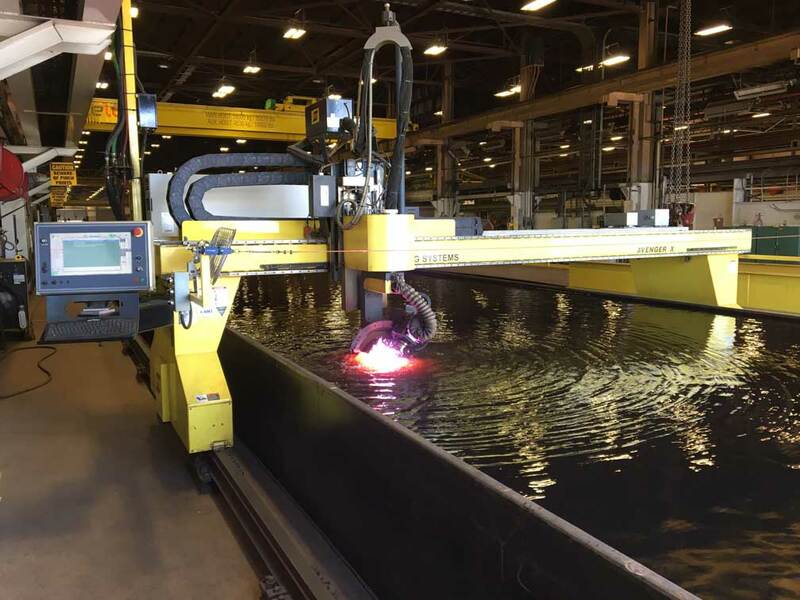 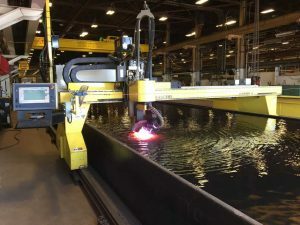 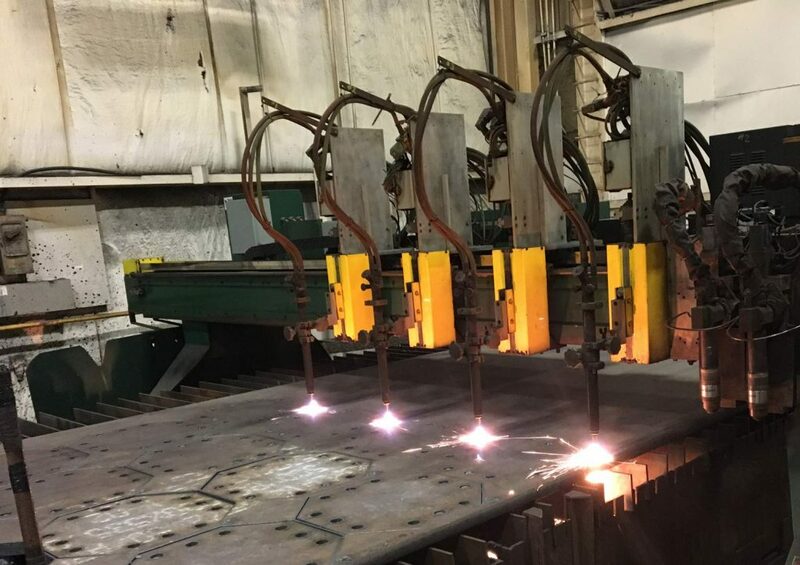 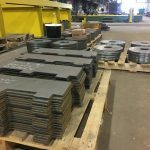 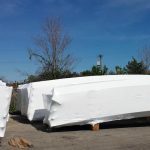 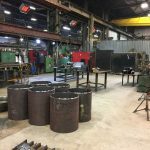 As a result, we’ve maintained a highly competitive position in the industry, prepared to take on a wide range of common and complex fabrication projects, while taking advantage of our advanced manufacturing technology and equipment. 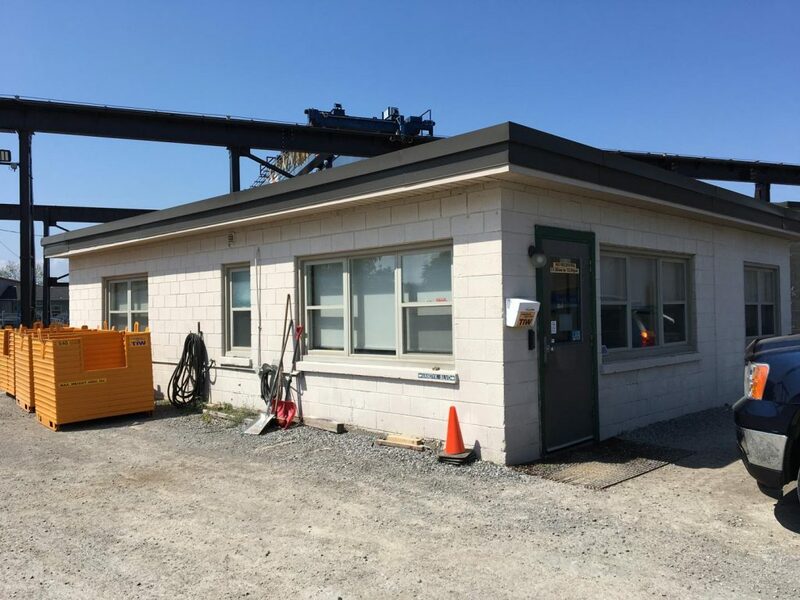 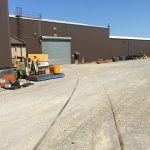 With a 200,000 square foot covered material processing plant located on a 10-acre property, the site is well-serviced by rail and roadway and is adjacent to the Welland Canal, which services the Great Lakes. 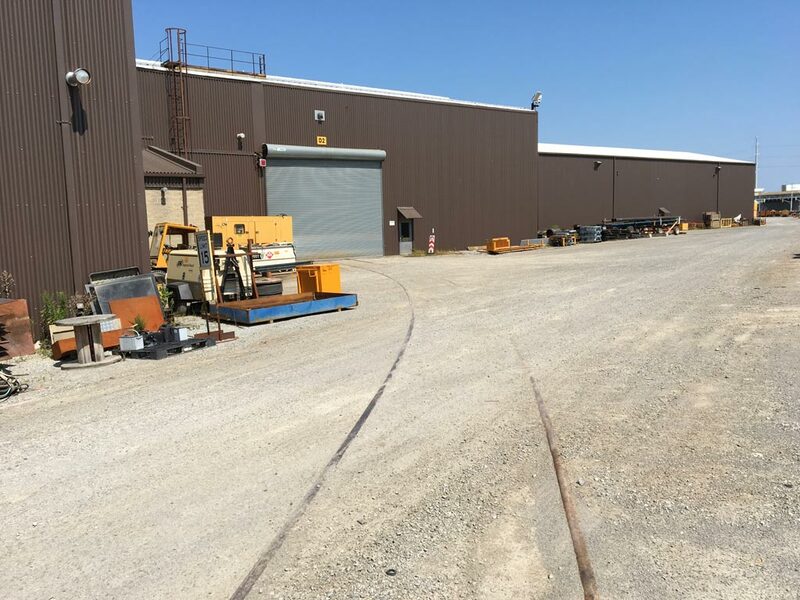 Additionally Our 23,000 square foot Western facility on a 4 acre lot serves as a service depot, housing large fleets of construction tools and equipment between projects. 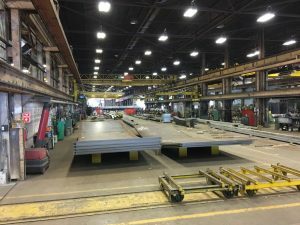 The St. Catharines plant’s assembly and layout have been carefully planned to keep production moving steadily. 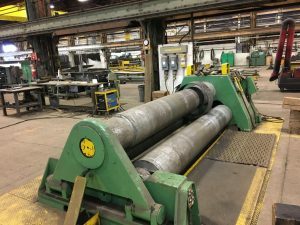 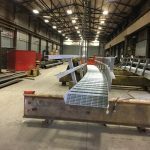 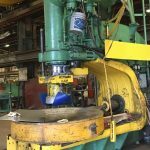 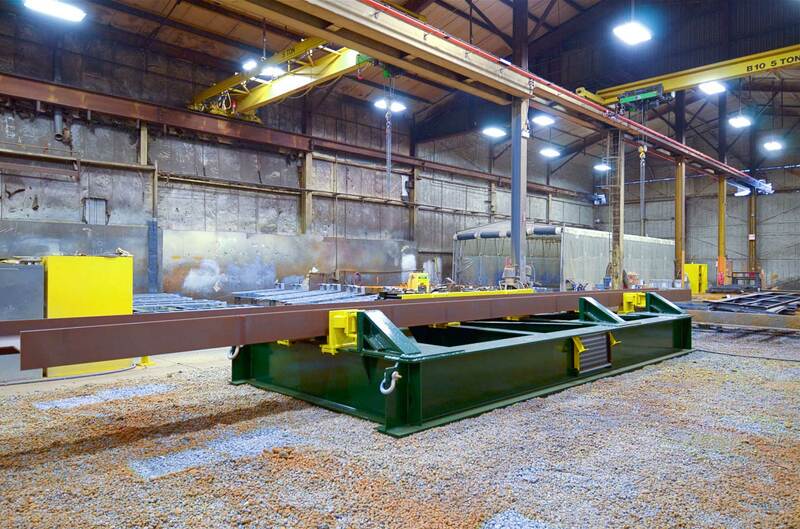 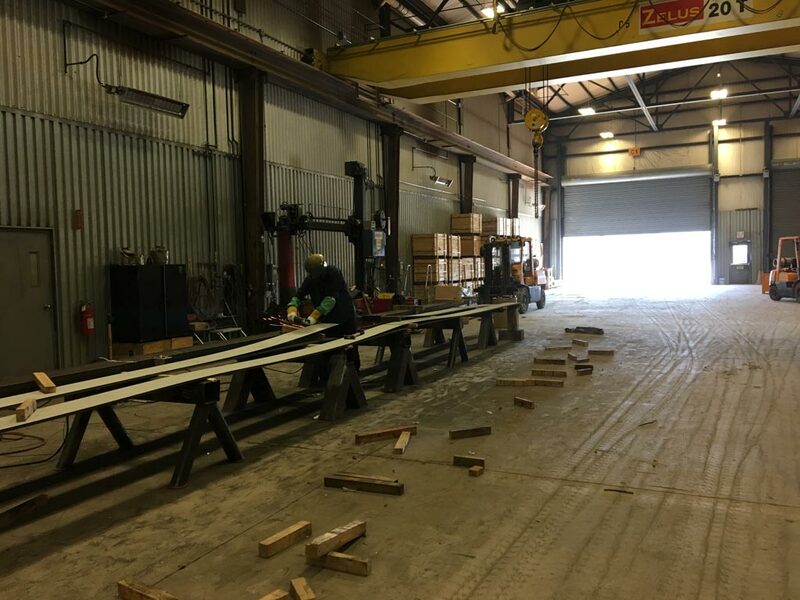 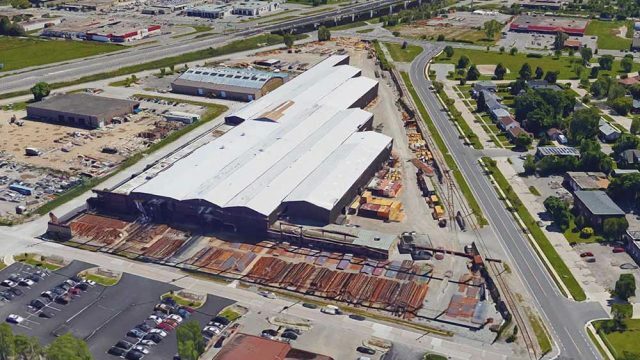 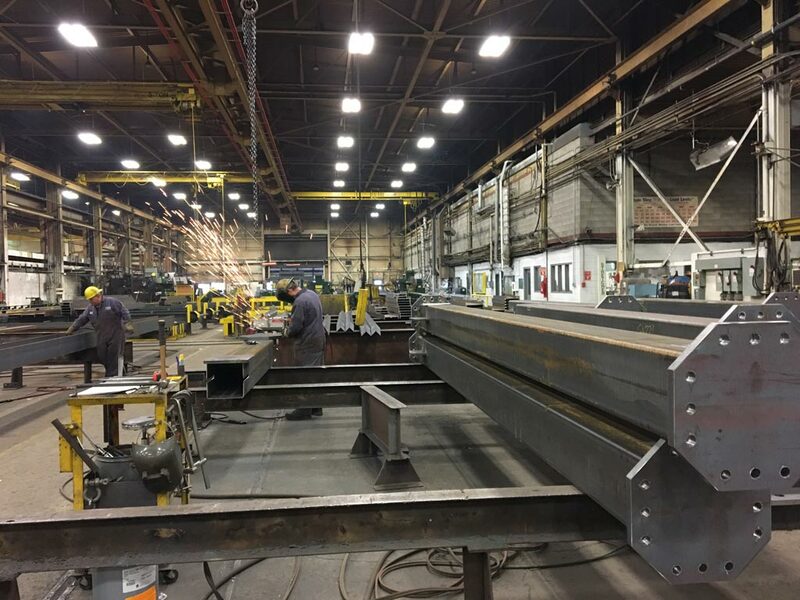 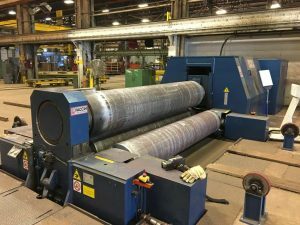 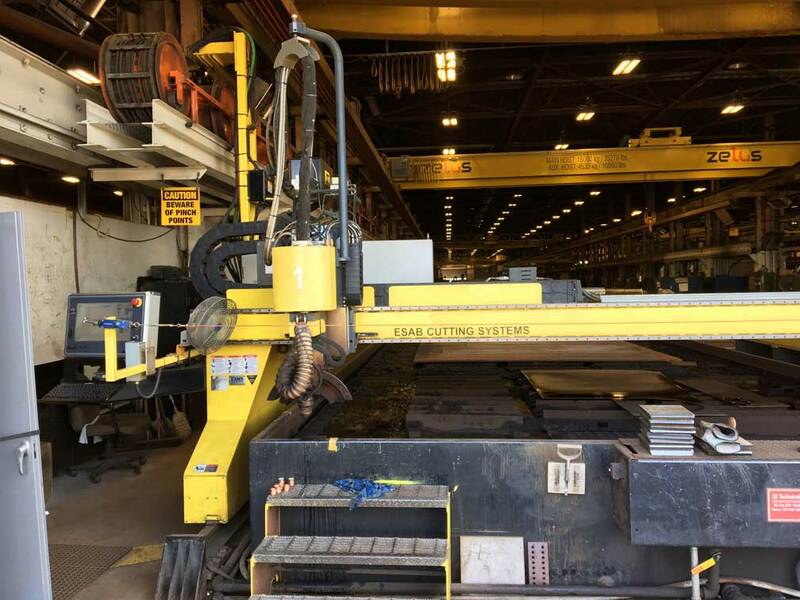 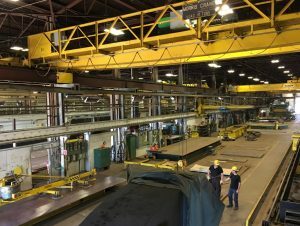 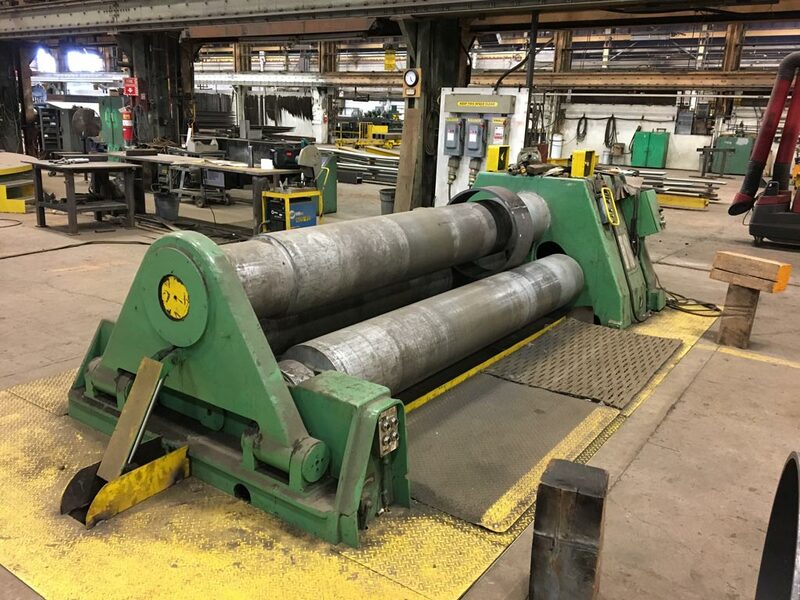 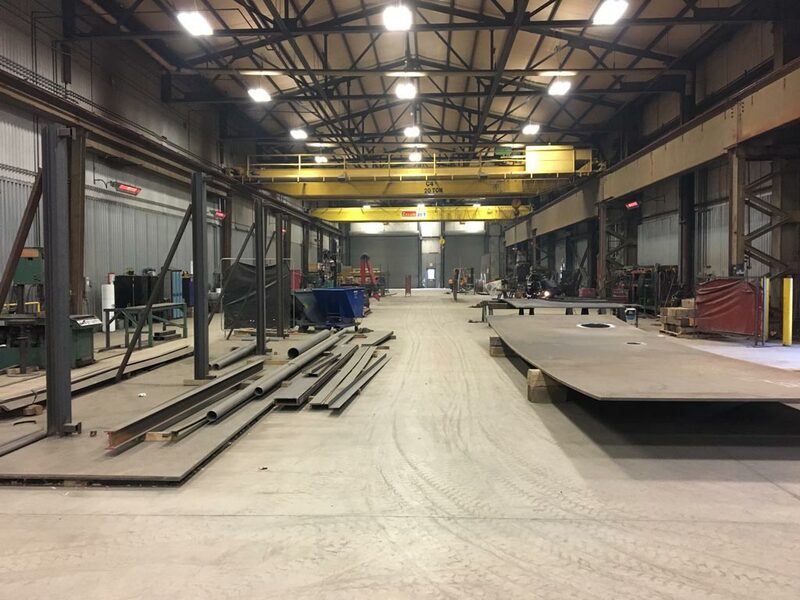 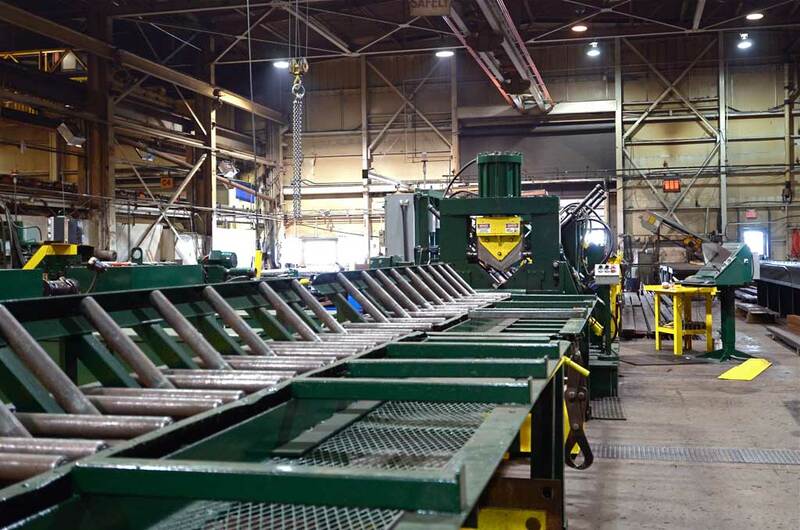 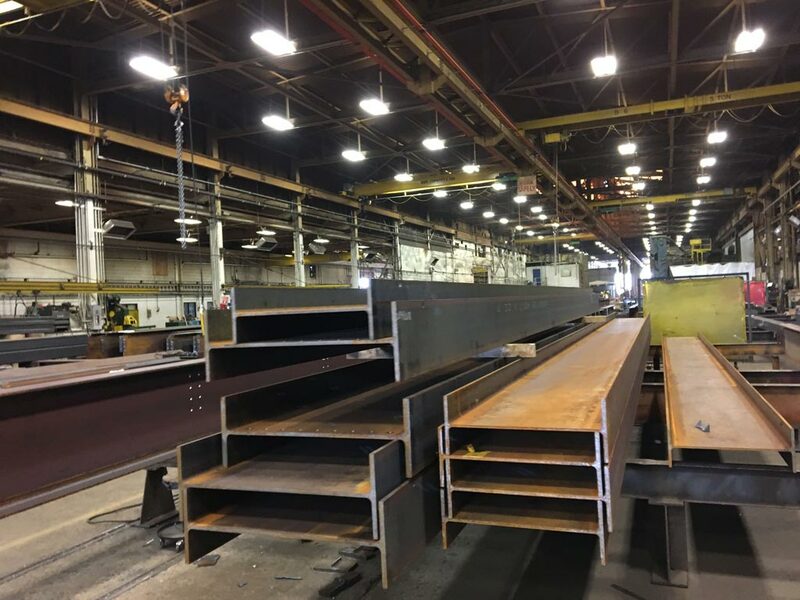 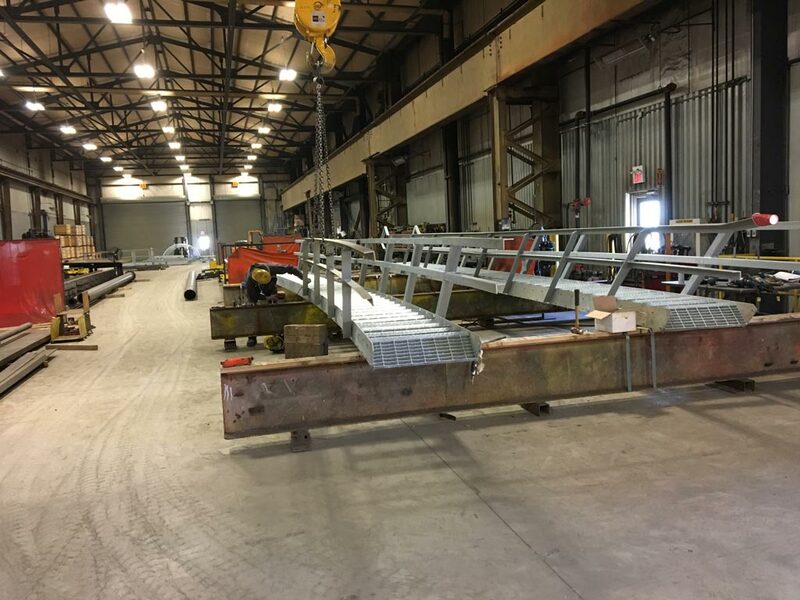 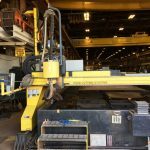 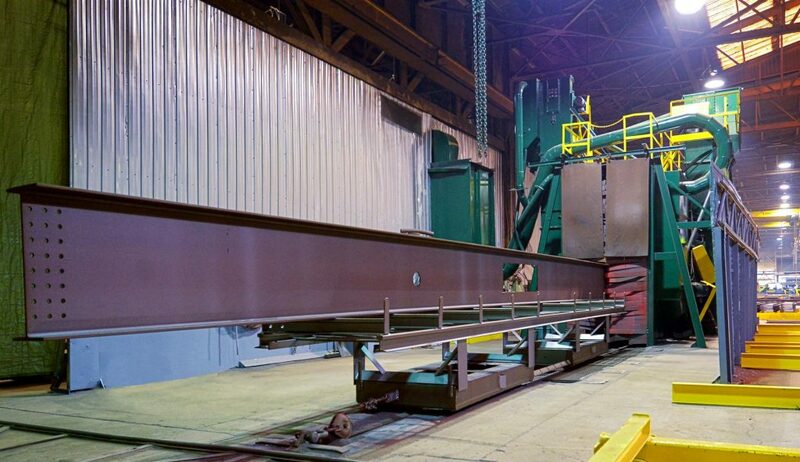 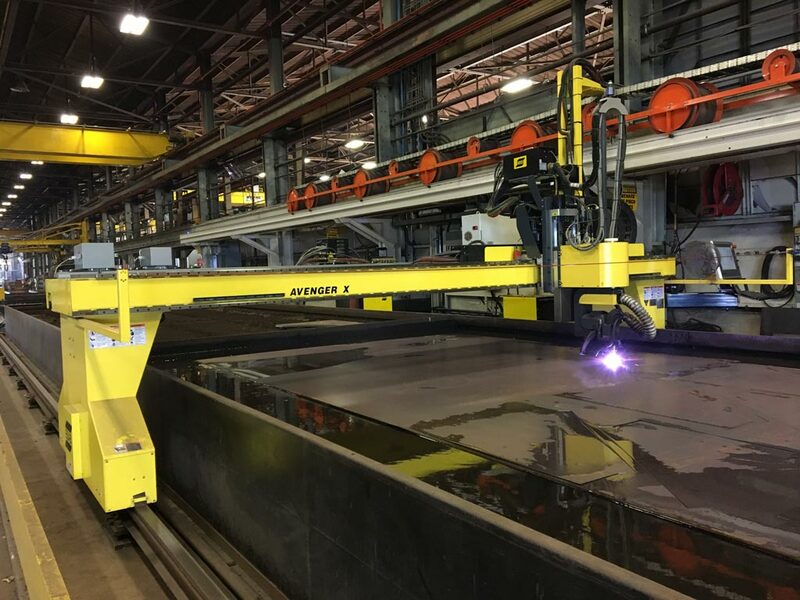 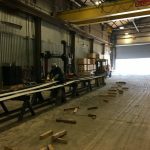 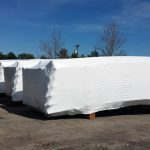 These buildings house every modern facility for shearing, bending, punching, rolling and assembling every type of structural and steel plate product we’re capable of producing. 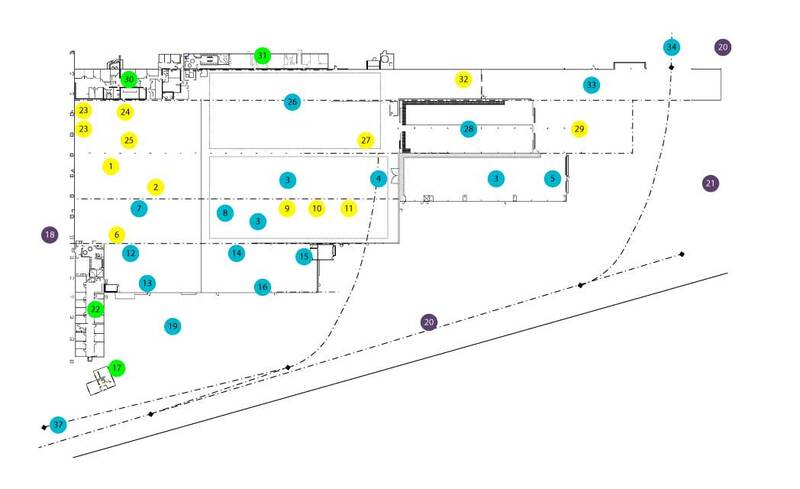 To explore our facilities click on any of the coloured numbers on the interactive map below! 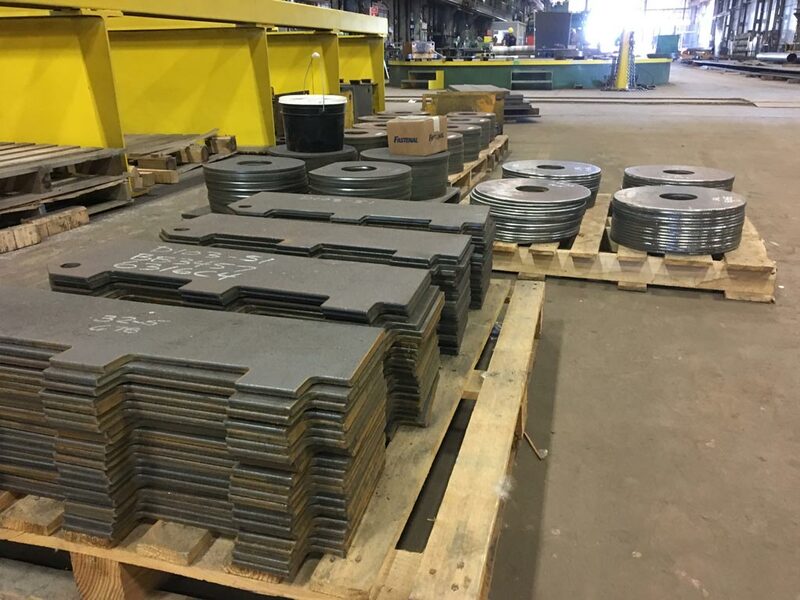 Used for cutting and beveling shell plates, detail plate and materials generally used for above ground large diameter API storage tanks, bulk silos and spheres. 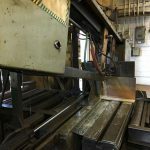 Up to 120″ wide and 960″ long, 2″ think (Square Cut), 1.5″ beveling Cuts: Traditional bevels, K-bevels, Y-bevels and knife edge bevels. 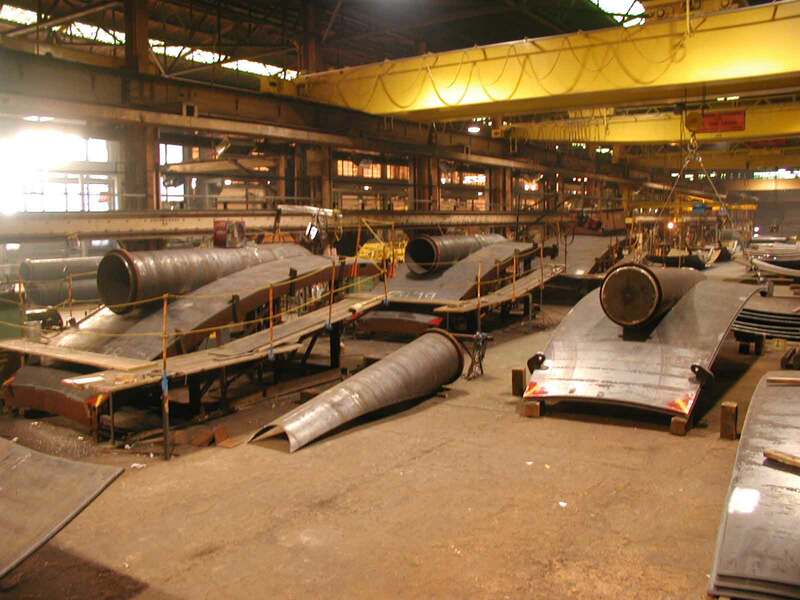 Used for rolling and forming of shell plate. 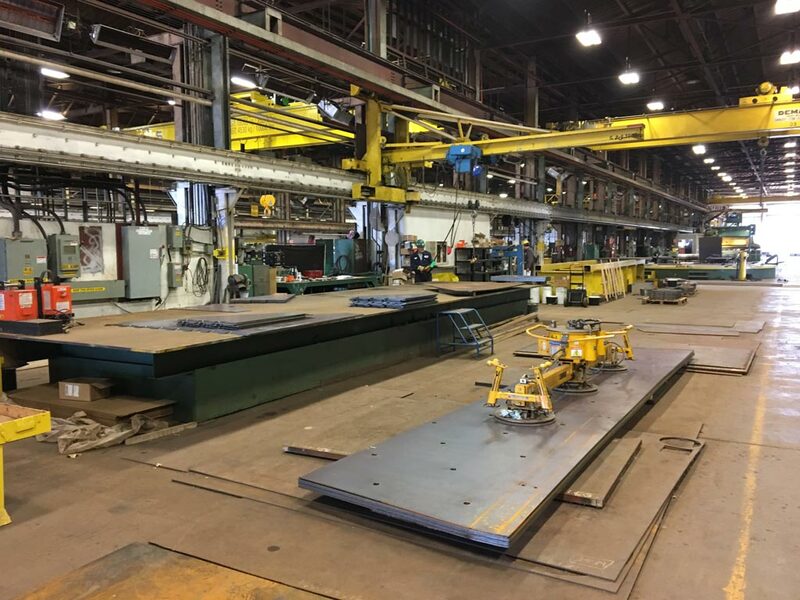 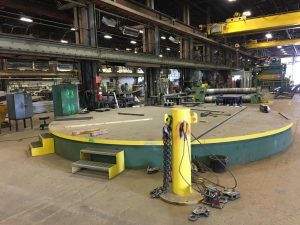 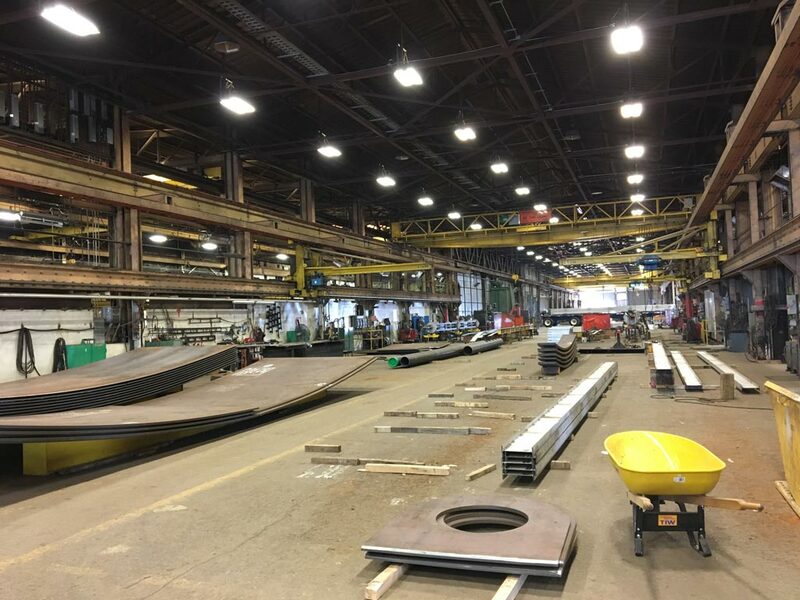 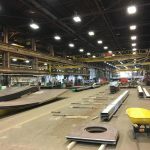 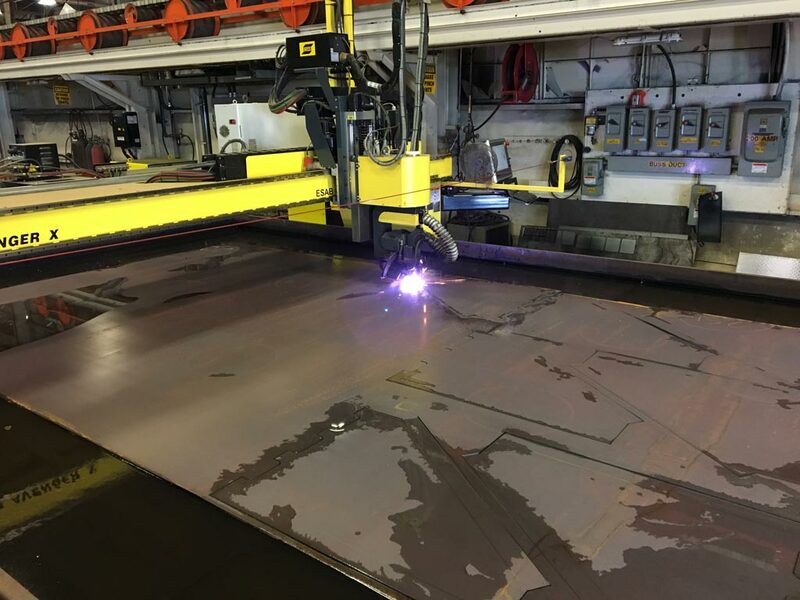 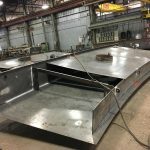 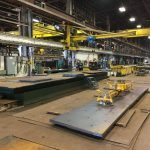 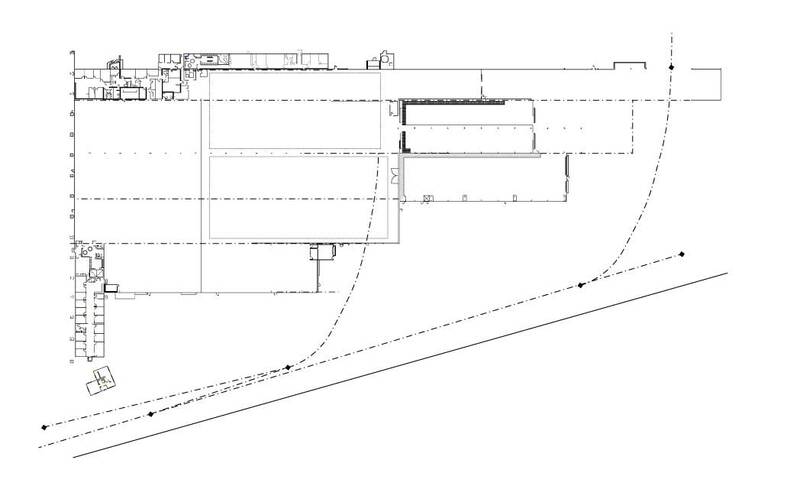 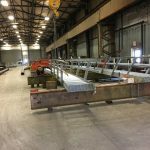 One of 3 major plate work fabrication zones, commonly used for the detailing of Roof platforms, pontoons, stairs, shell assemblies, cone roof columns and more. 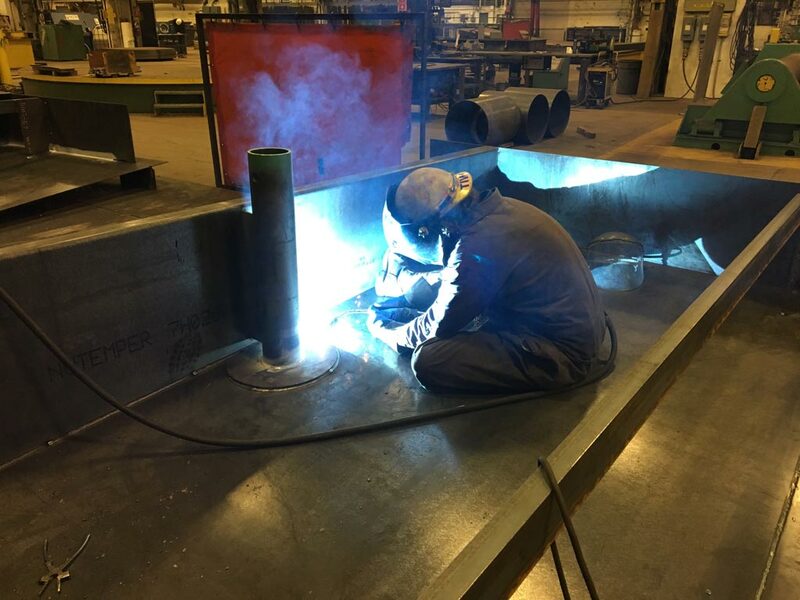 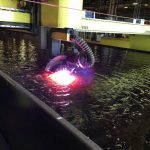 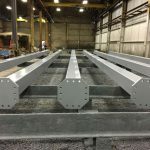 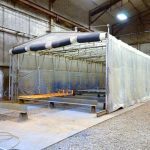 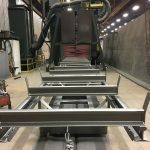 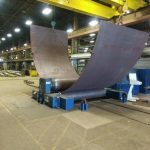 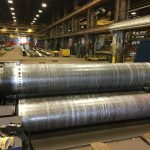 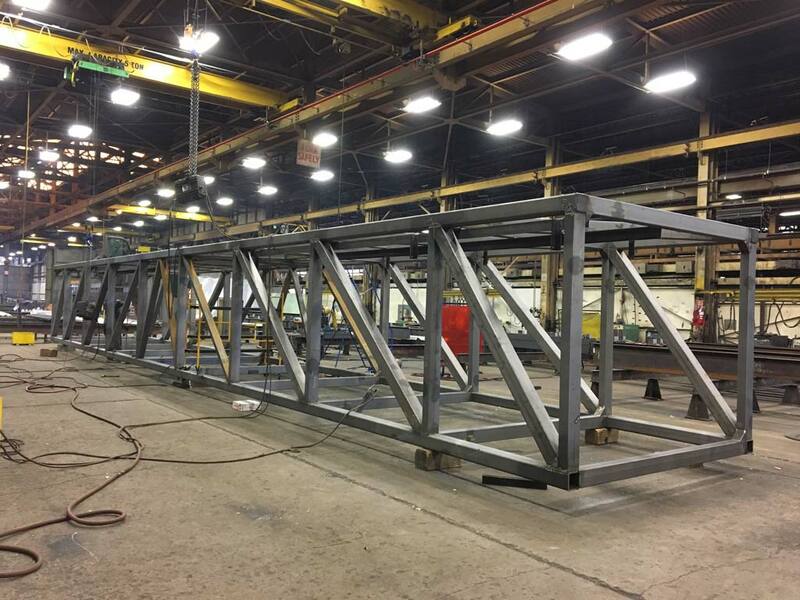 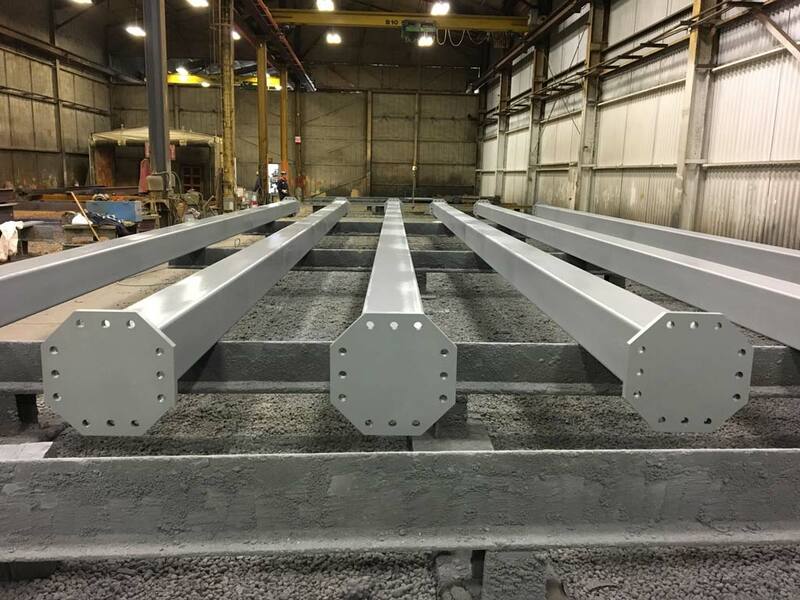 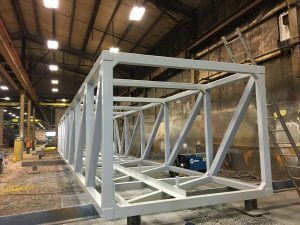 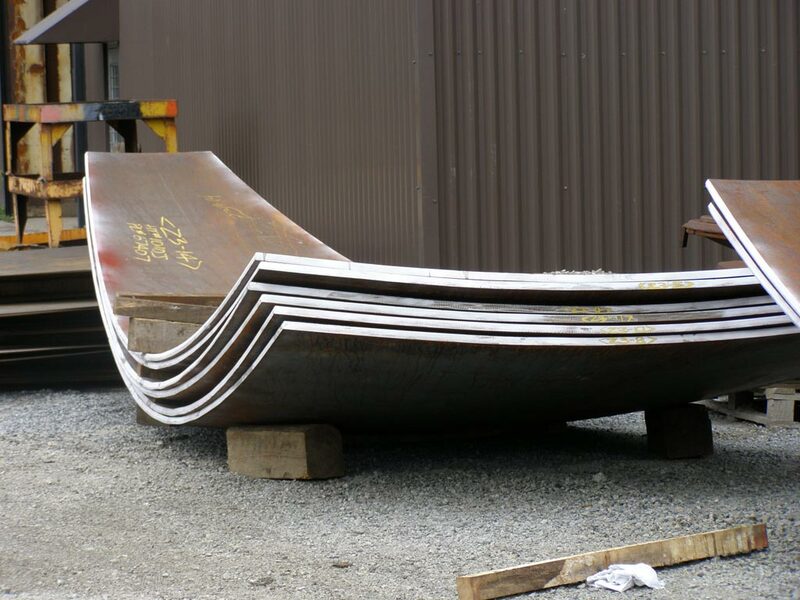 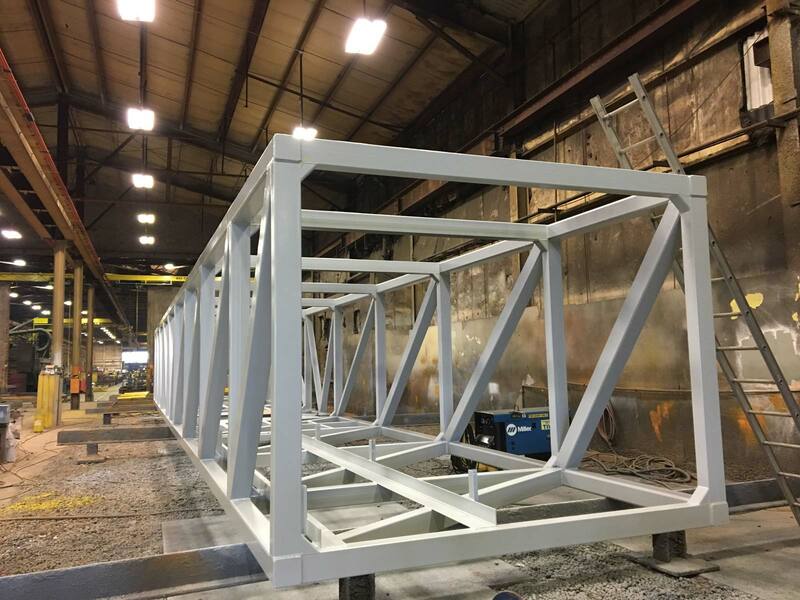 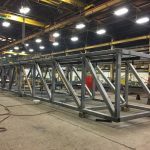 Constant supervision and inspection is conducted throughout the whole fabrication process, ensuring all material, detail and welds meet our specified engineering codes and our stringent quality standards. 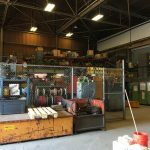 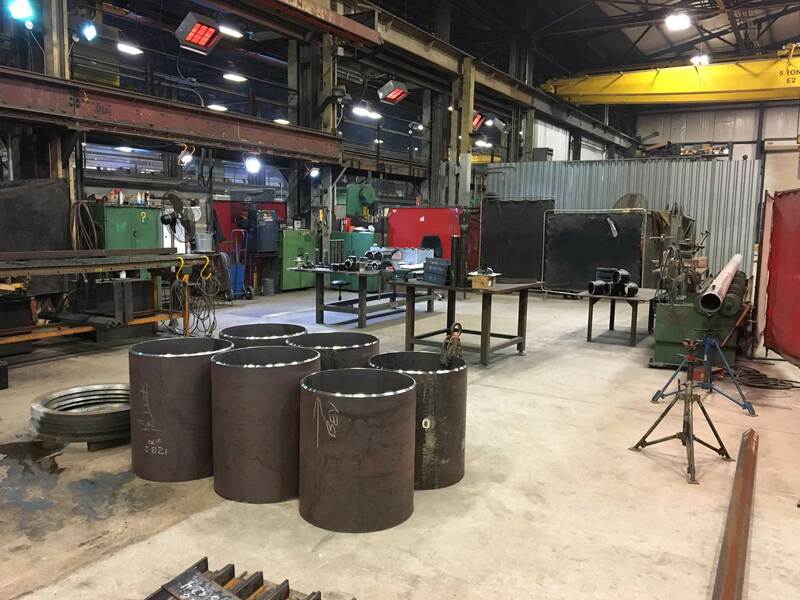 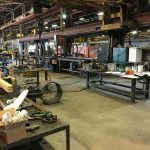 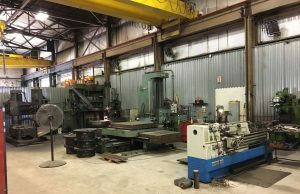 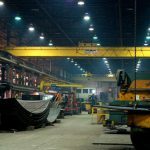 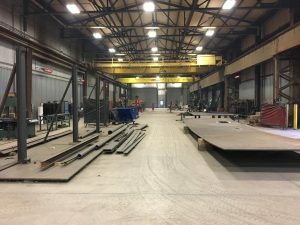 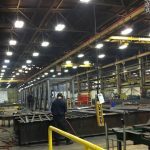 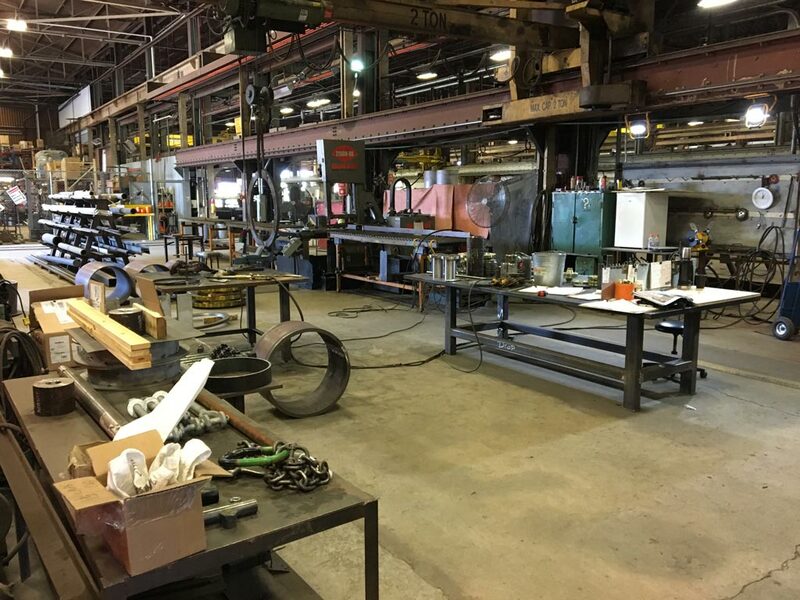 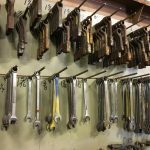 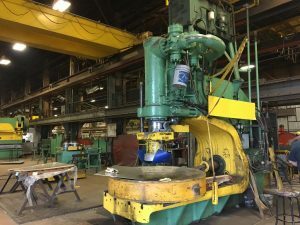 The shop is well lit with modern lighting, equipped with welding stations throughout and serviced by several overhead cranes ranging from 5 to 20 Ton, along with 2 Ton Jib cranes throughout the shop. 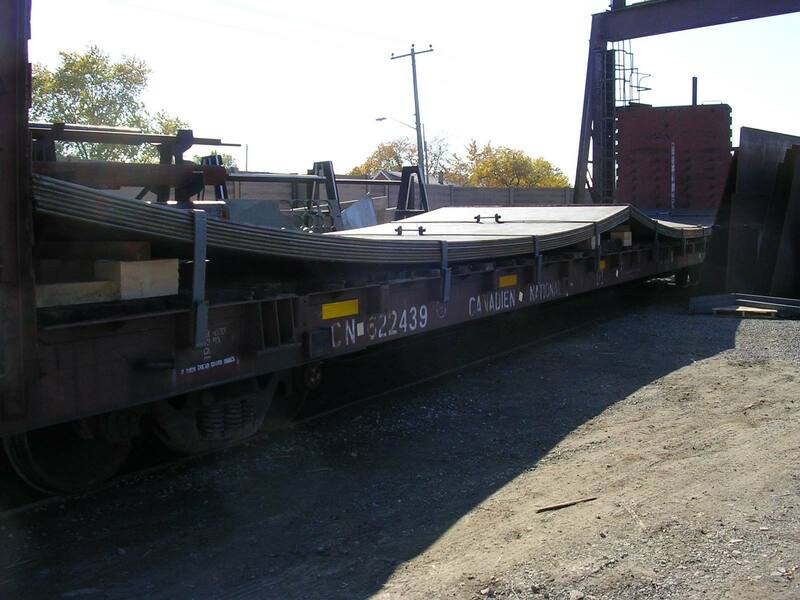 One of 3 rail spurs. 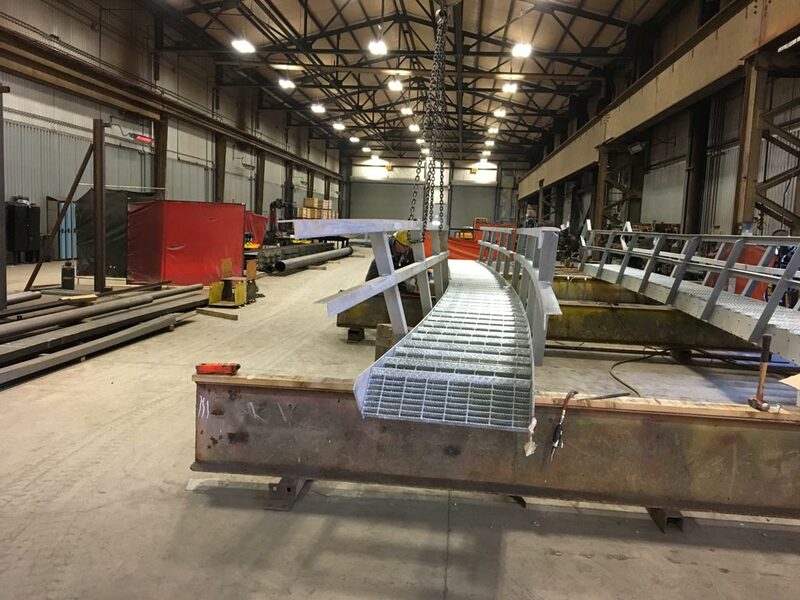 This indoor spur serves as the primary line for loading outgoing materials destined for field erection. 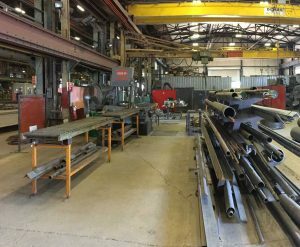 Serviced with two 20 Ton overhead cranes, this section of our shop is used to ship large components destined for field erection. 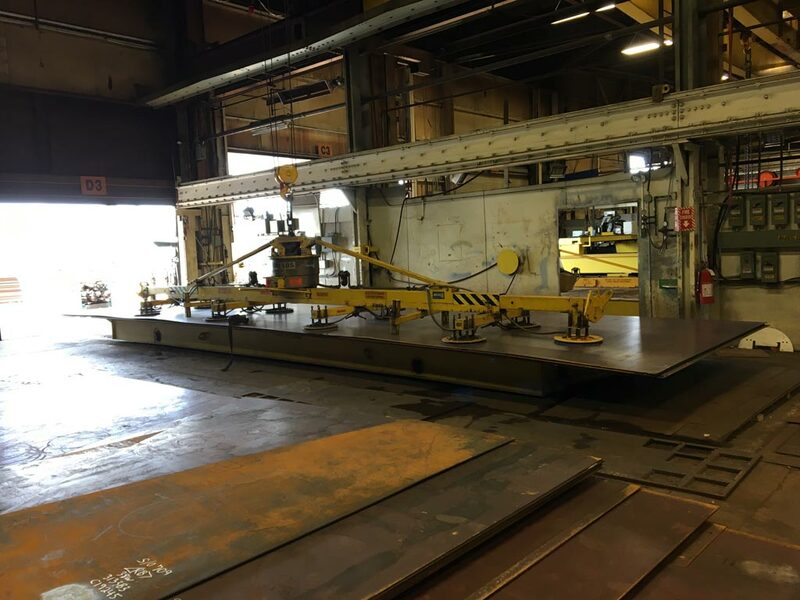 Used for cutting batches of CNC nested detail parts out of large plates. 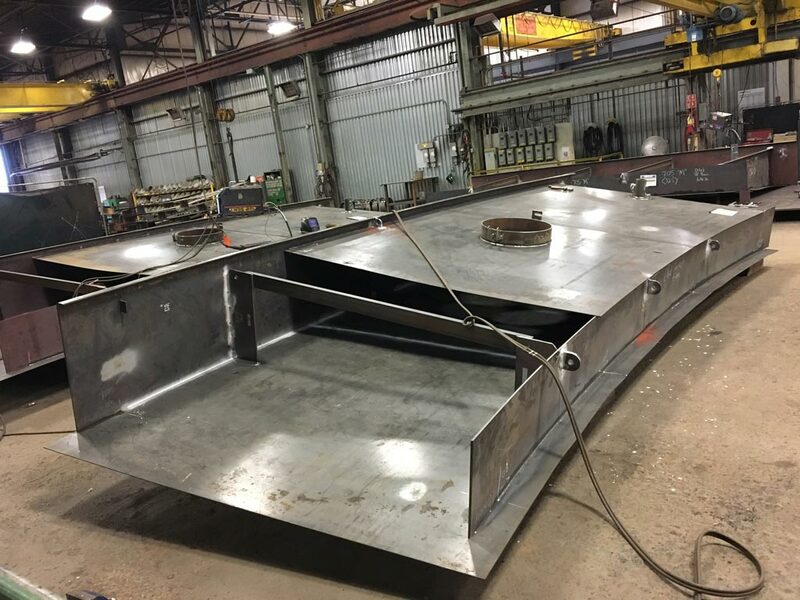 Each of these parts are specifically labeled and later fabricated onto their intended tanks, silos, vessels and spheres. 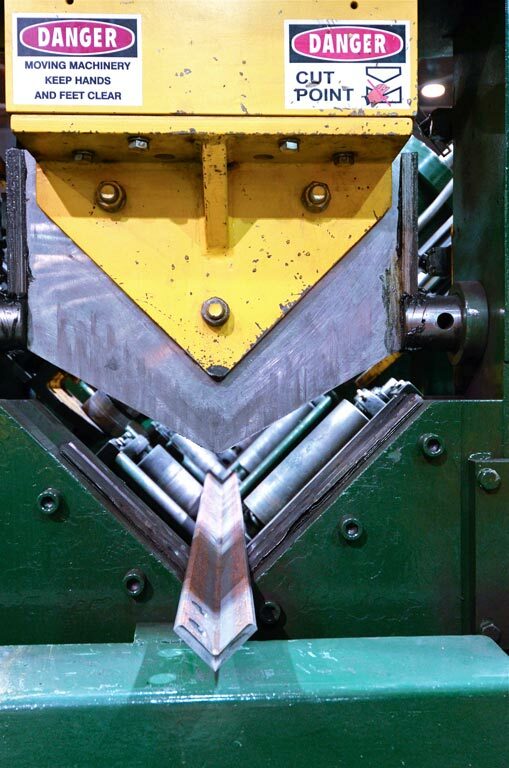 1.5” beveling Cuts: Transitional bevels, K-bevels, Y-bevels and knife edge bevels. 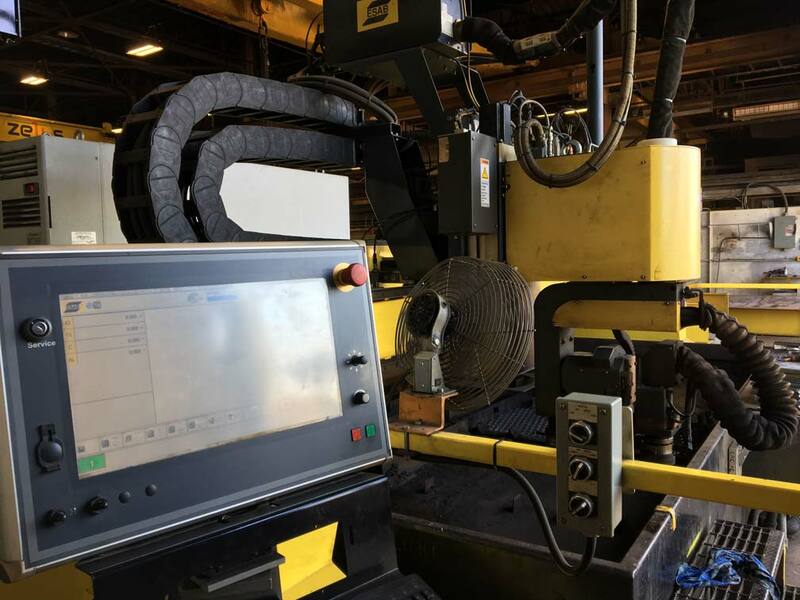 Used for part identification, heat number traceability, layout development. 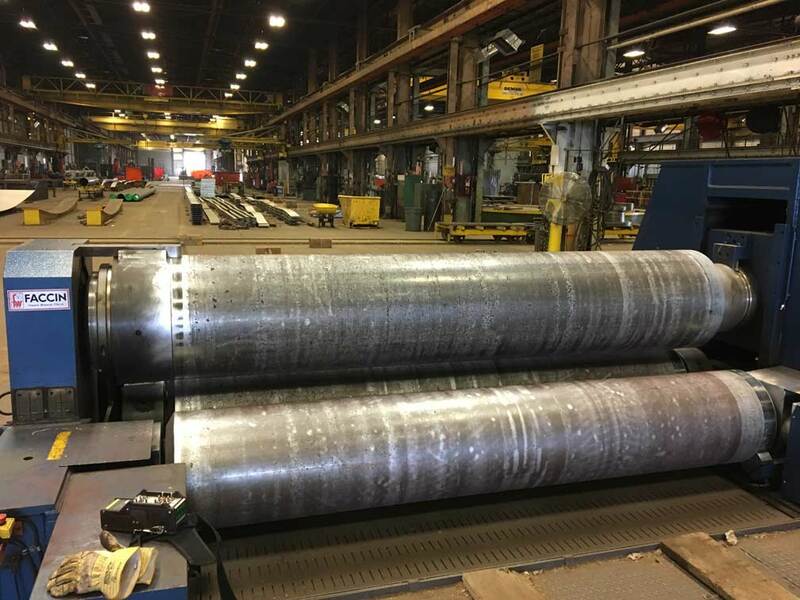 Used for specialty items, such as pressure vessel components, typically used when conducting repairs for oil refinery Turnaround Maintenance Events. 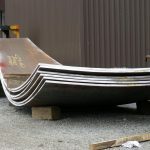 Used for small detail parts such as manway and nozzle necks made from plate as well as some light structural sections. 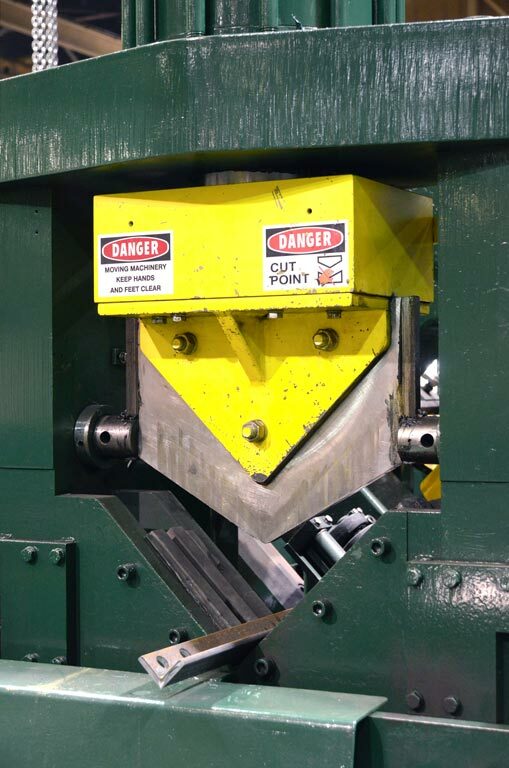 Used for Plate bending and forming of cones, small square to round sections and miscellaneous detail. 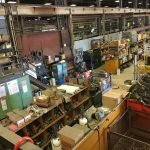 At the south end of the machine shop, the stores department holds material for both the Field Erection Department and the Shop. 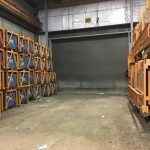 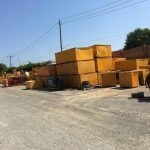 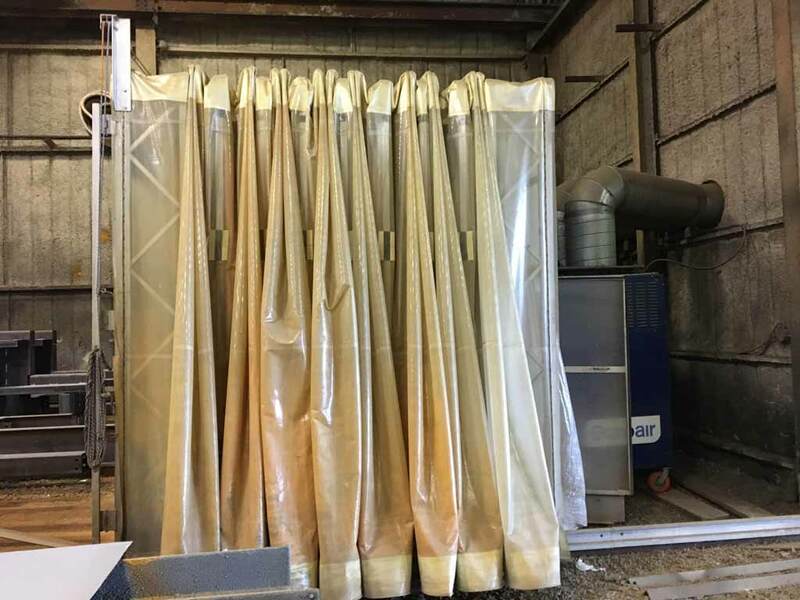 The storage space is equipped with shelves and special partitions to allow the storekeeper to keep an accurate inventory and provide material to the shop or field when required. 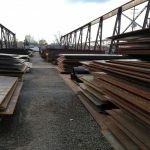 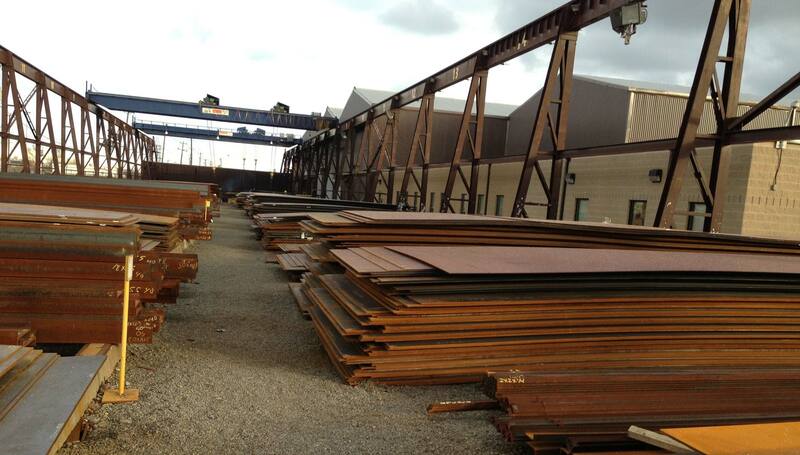 This section of shop is used to ship or receive small components for use in fabrication. 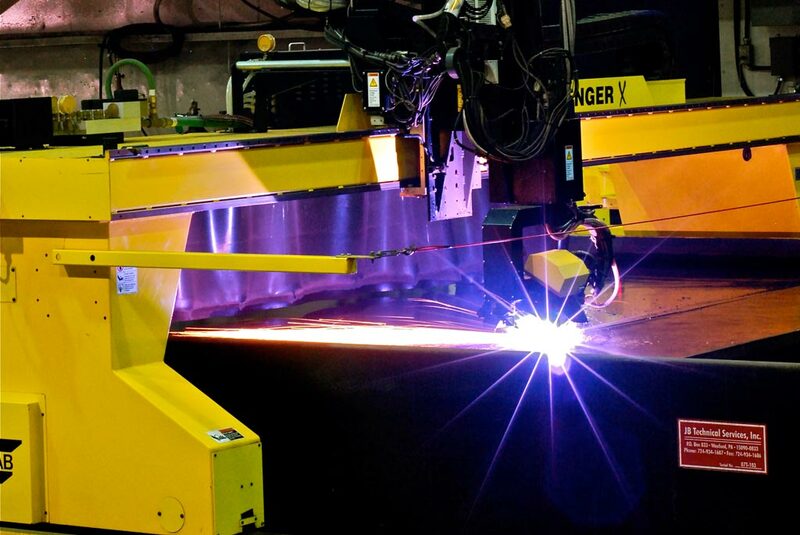 Used for fabricating smaller nozzles requiring TIG root and other specialty weld capabilities. 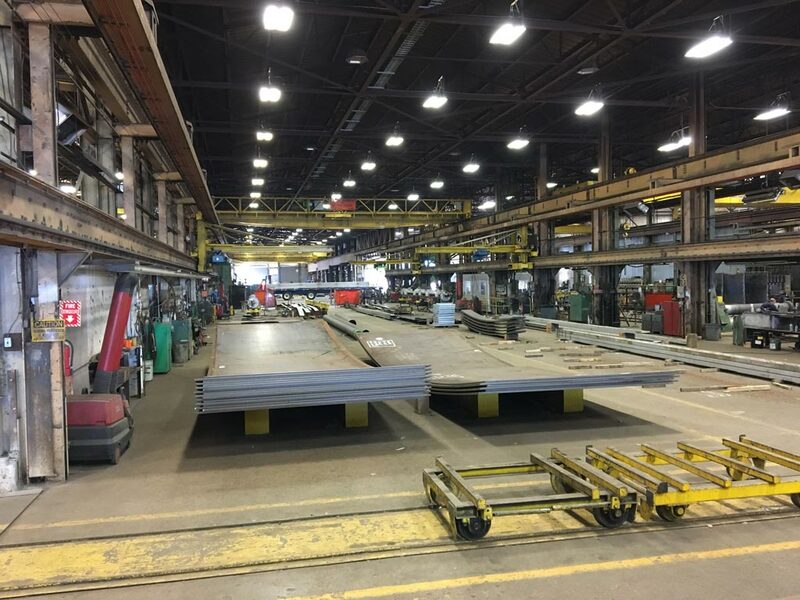 The maintenance bay is used for supporting our 200,000 square foot fabrication shop as well as all field equipment for our project sites. This bay is used by our team of certified mechanics and electricians as a workspace, storage and maintenance facility for electrical equipment, machinery, cranes, small tools and more. 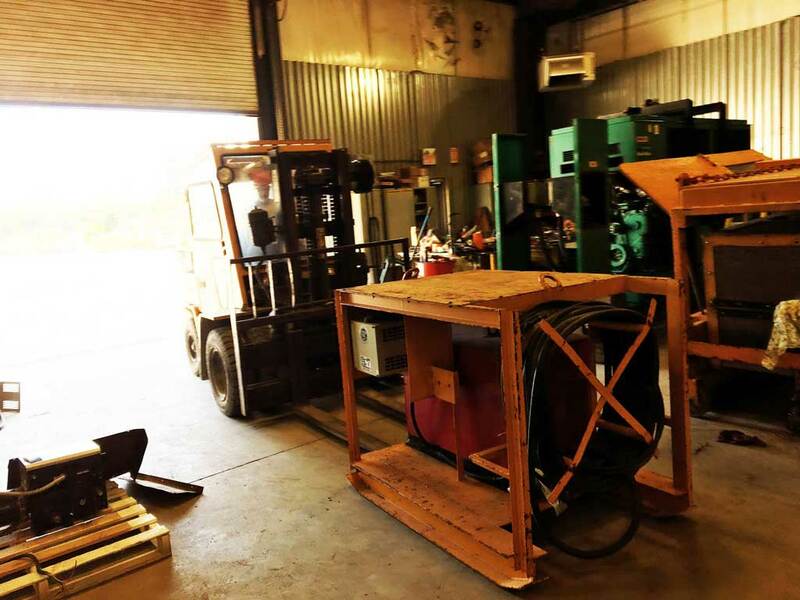 In-house, certified mechanics maintain and repair all field equipment, such as vertomatics, 3 o’clock welders, diesel generators, compressors and welding machines. 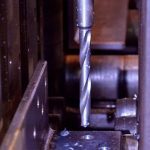 The machine shop is used for general light machining of nozzle faces, drilling, tapping, milling and some light threading and other special components. Central point of coordination of all transportation of materials to and from our various project sites & locations. 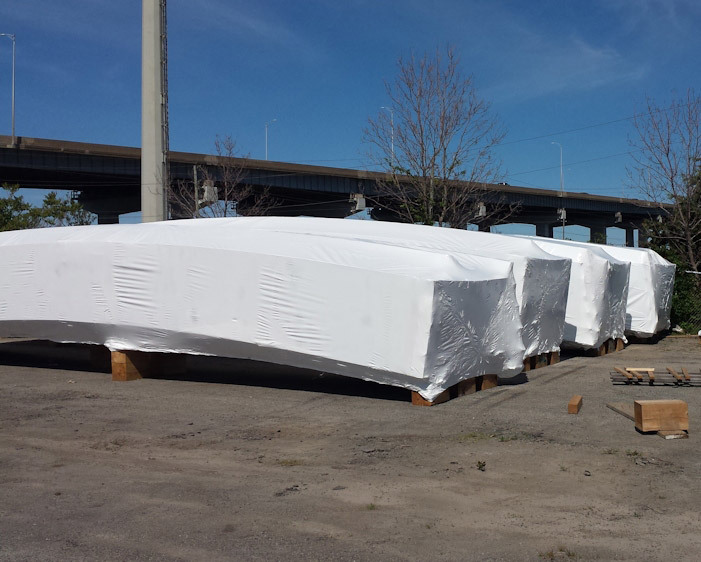 An active database of continuous tracking on all shipments, whether by truck rail or water. 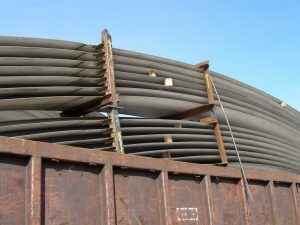 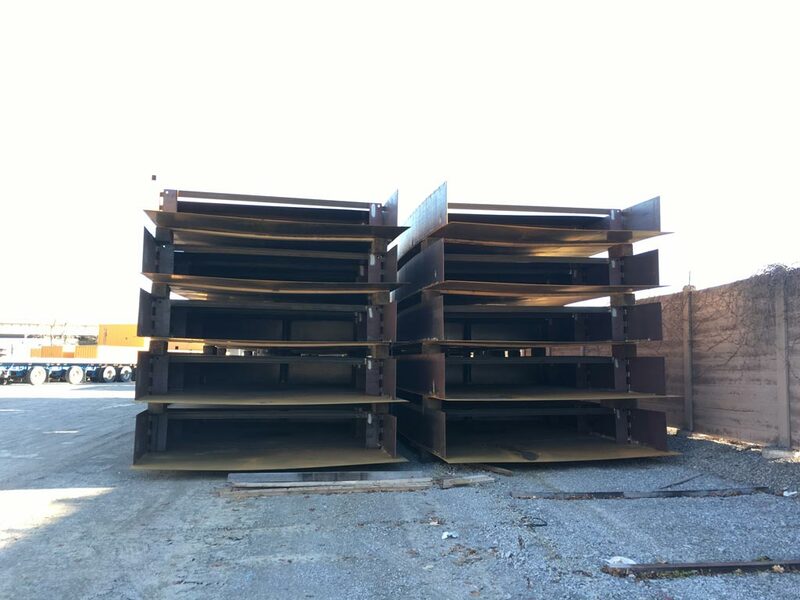 Used for storing both stainless & carbon steel plates, structural beams and pipes in various sizes and thicknesses. 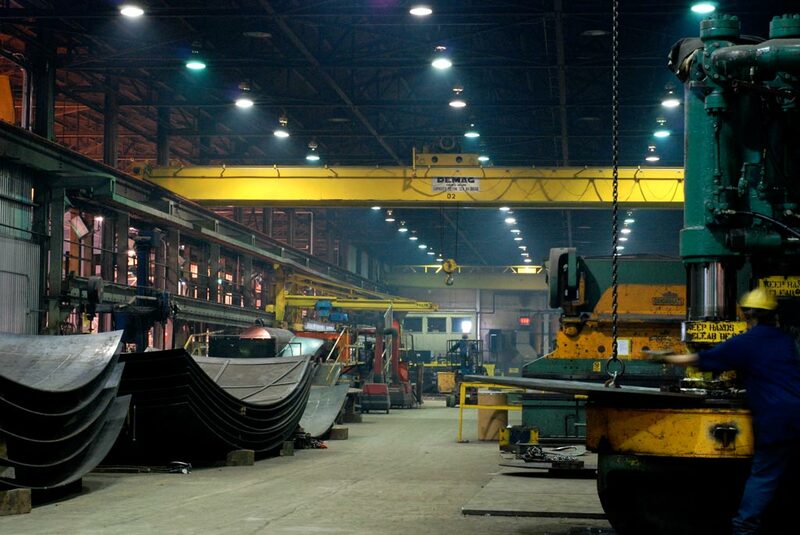 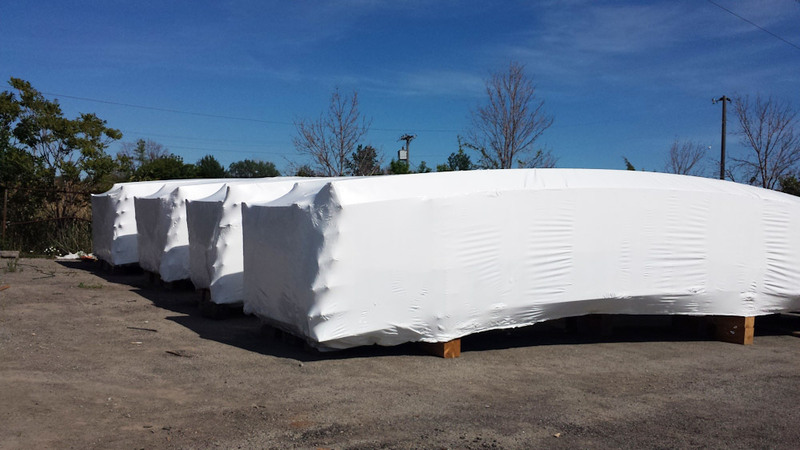 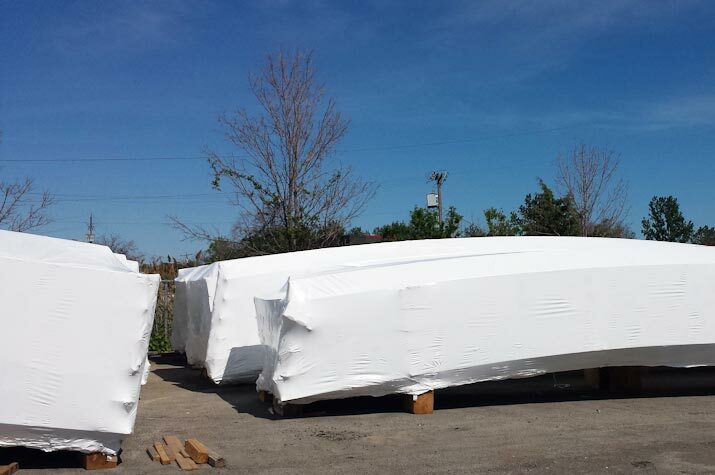 Our 40,000 square foot outdoor storage yard is serviced by two 20-ton overhead cranes. 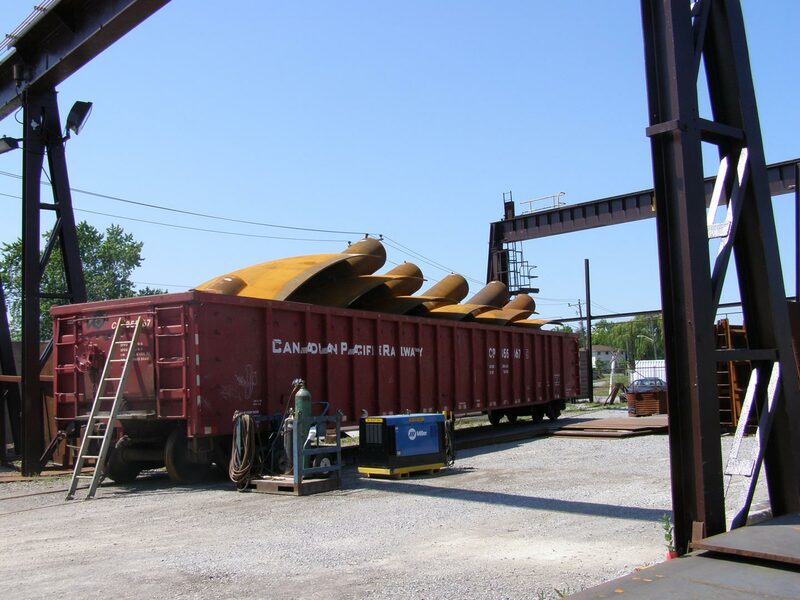 With multiple jobsites operating simultaneously across the country, C-Cans are used to store tools and equipment between jobs. 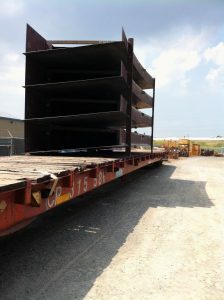 Used​ ​for​ ​storage​ ​of​ ​material​ ​destined​ ​for​ ​field​ ​erection. 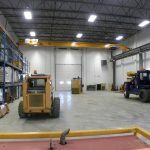 Facilitates office space for the Production, construction, quality and Safety departments. 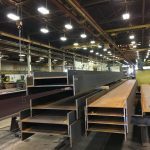 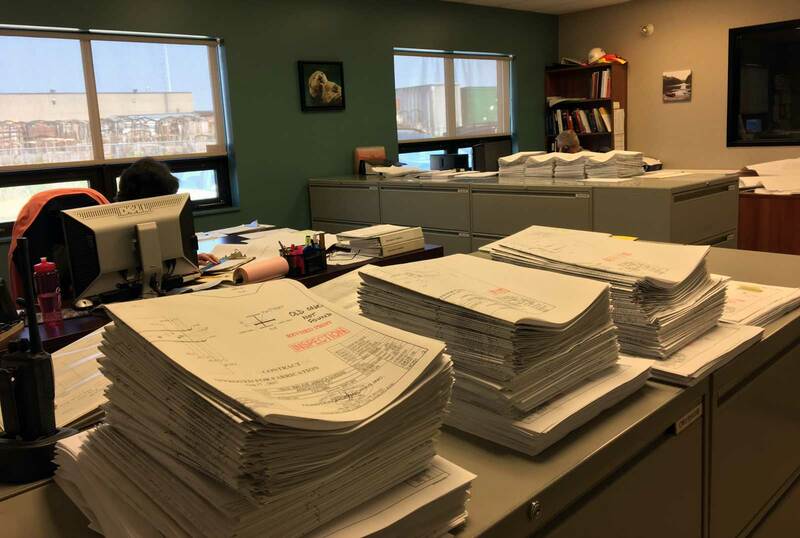 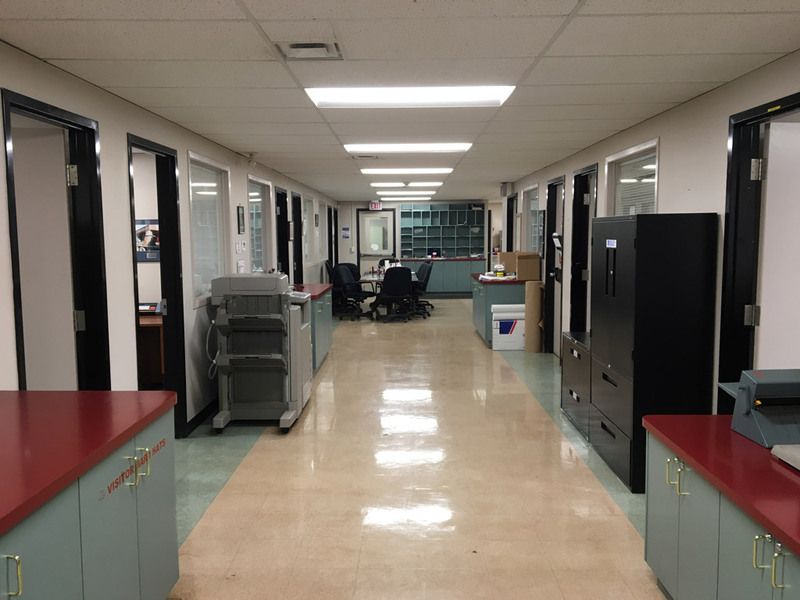 Conveniently located next plant and surrounded by incoming and outgoing shipping items, these offices are focused on fabrication, detailing and field administration. 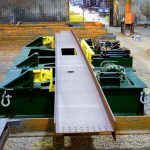 For cutting beams, chanel, angle, HSS tubing and pipe. 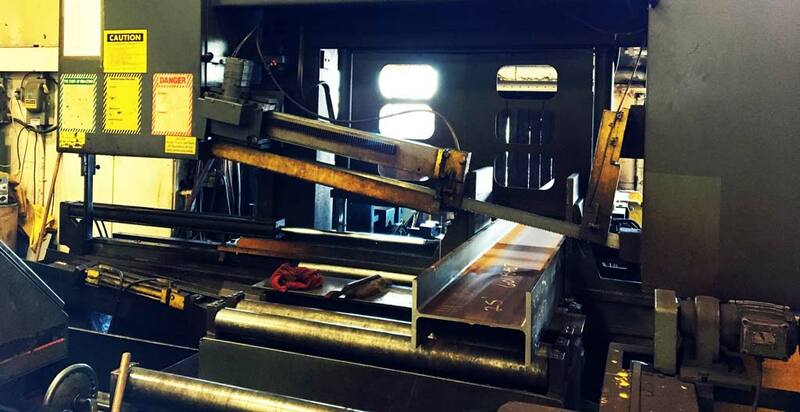 With a built in measuring devices, it will cut everything to length. 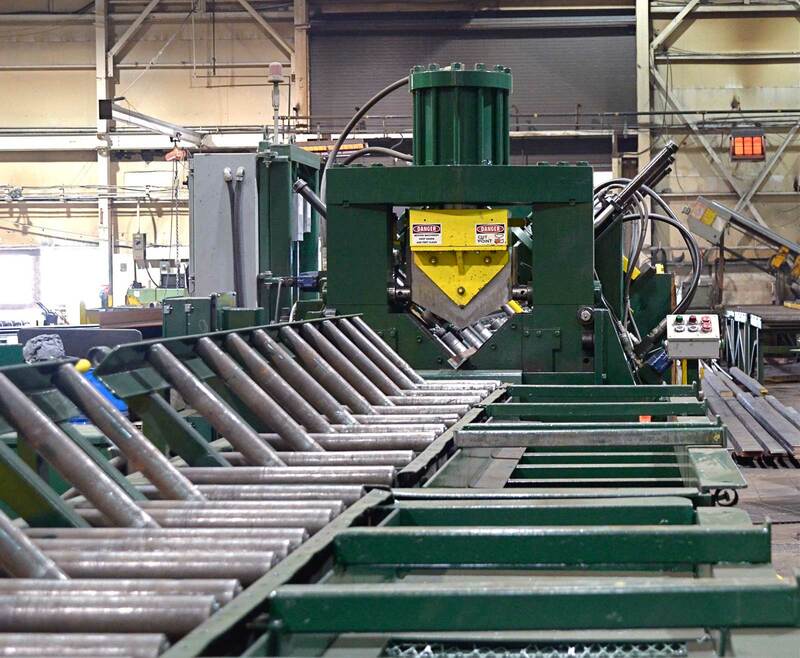 for straight & bevel cutting of beams, channel, angle and HSS tubing. 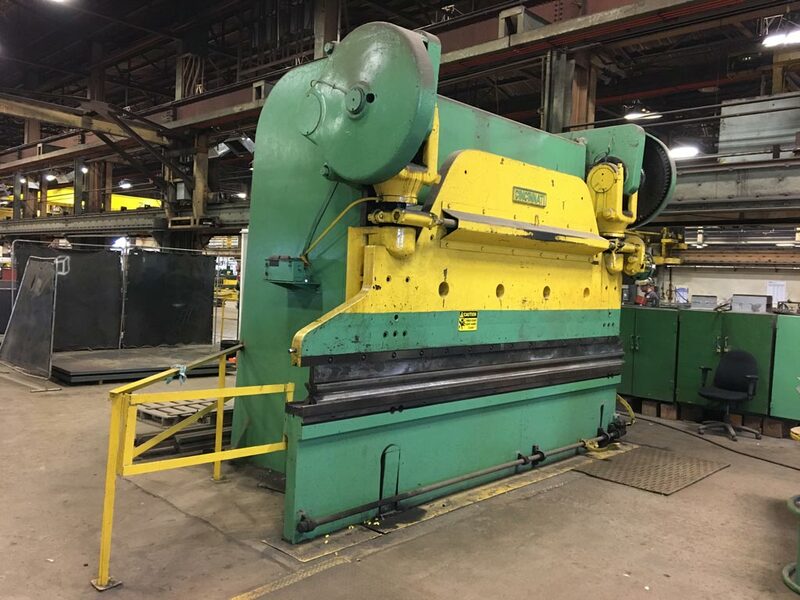 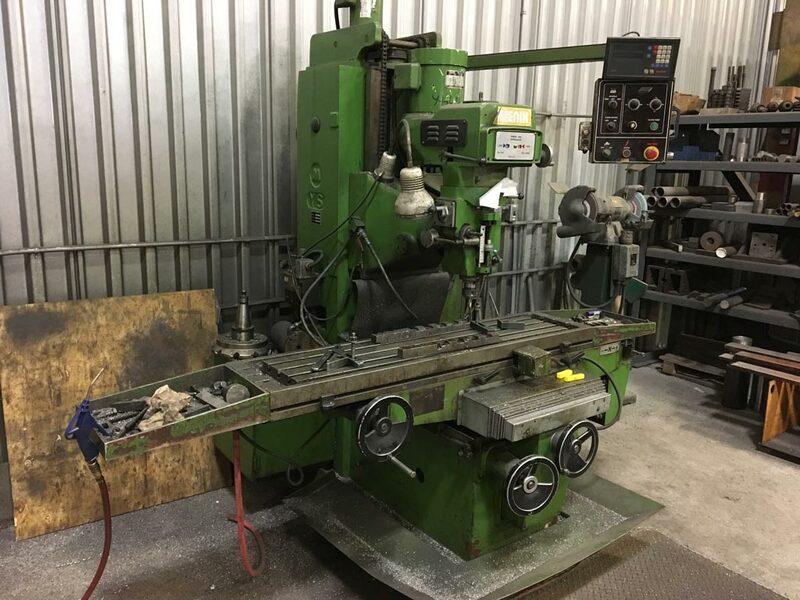 used to punch and cut angle, channel and plate to length. 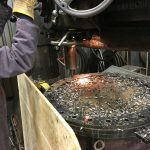 Will create round and slotted holes. 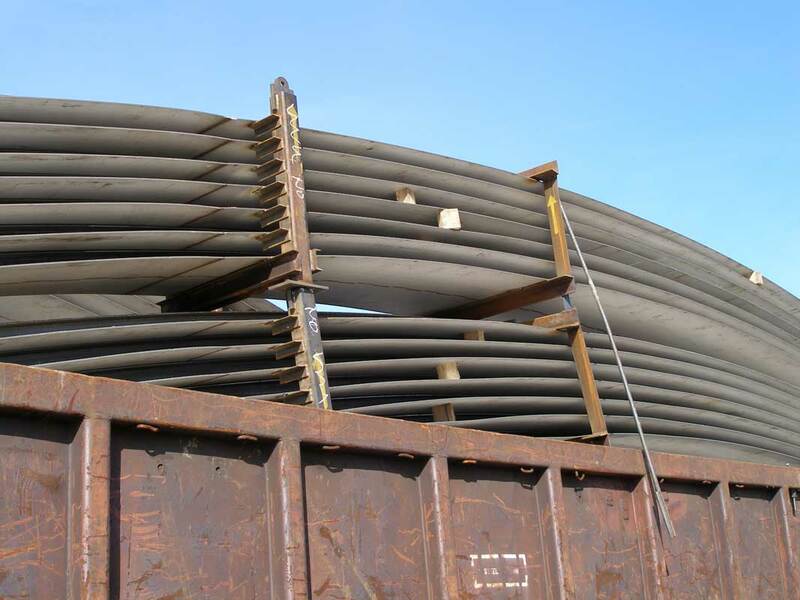 For drilling beams, channel, angles, plate and HSS tubing. 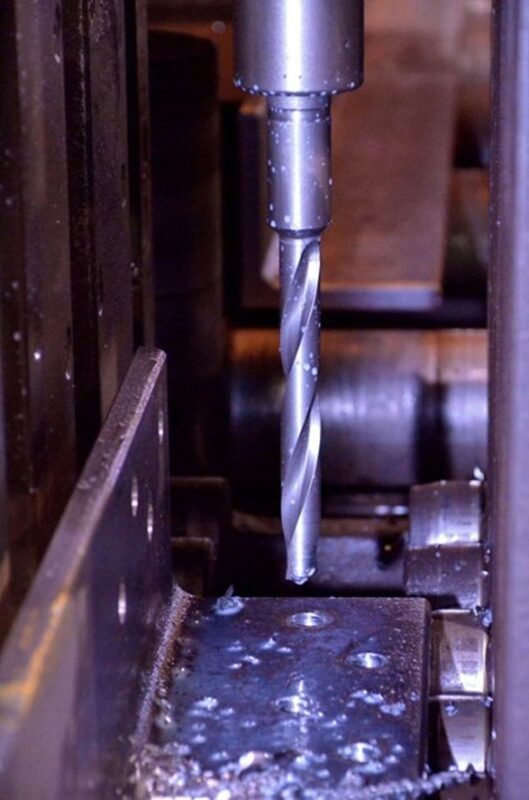 Capable of drilling up to 2” thick. 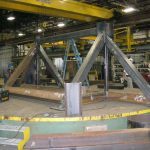 This section of the shop is used for fitting detail to structures along with all applicable welding. 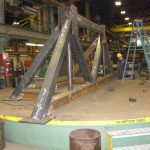 This includes fabrication of various structures such as platforms, handrails, stairways, bridges etc. 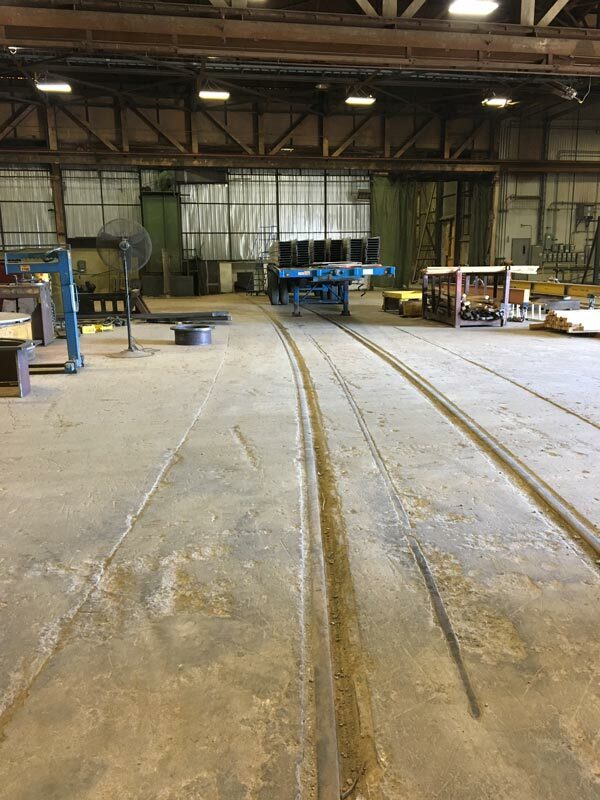 Used for commercial blast cleaning at a finish of SP6. 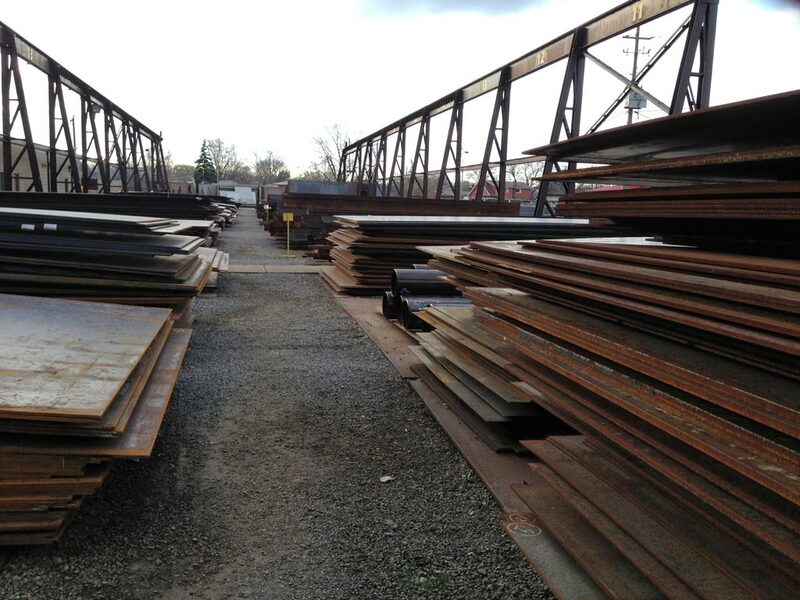 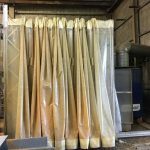 Used for in shop heated painting of beams and various structures. 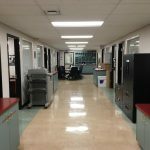 Accommodates various administrative, supporting service departments from Accounting and Purchasing to Information Technology. 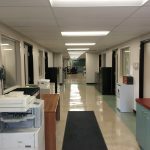 Furnished with multiple meeting rooms, kitchenettes, and facilities. 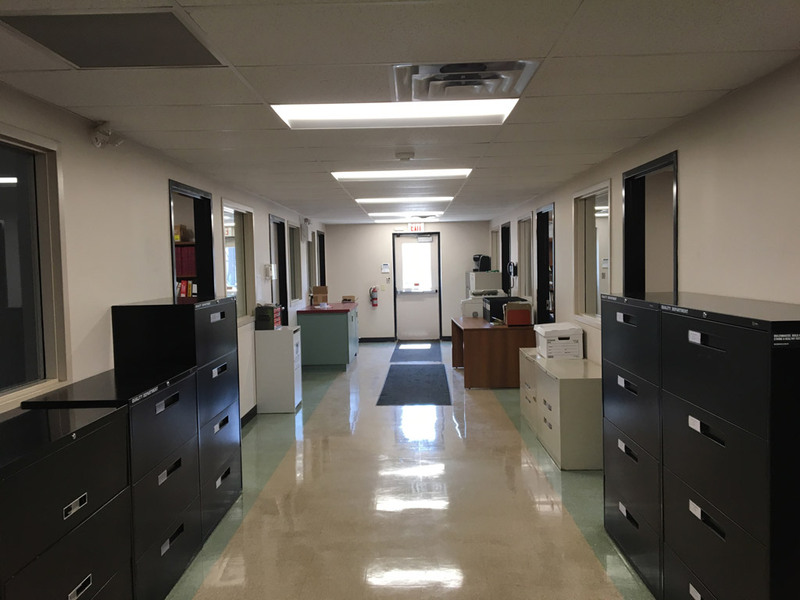 The second level is the administrative heartbeat of the company. 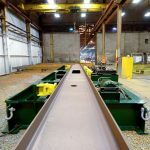 Laid out strategically, the Sales, Engineering and Contract departments conveniently share close quarters, allowing consistent communication from the time of an estimate through the duration of a contract. 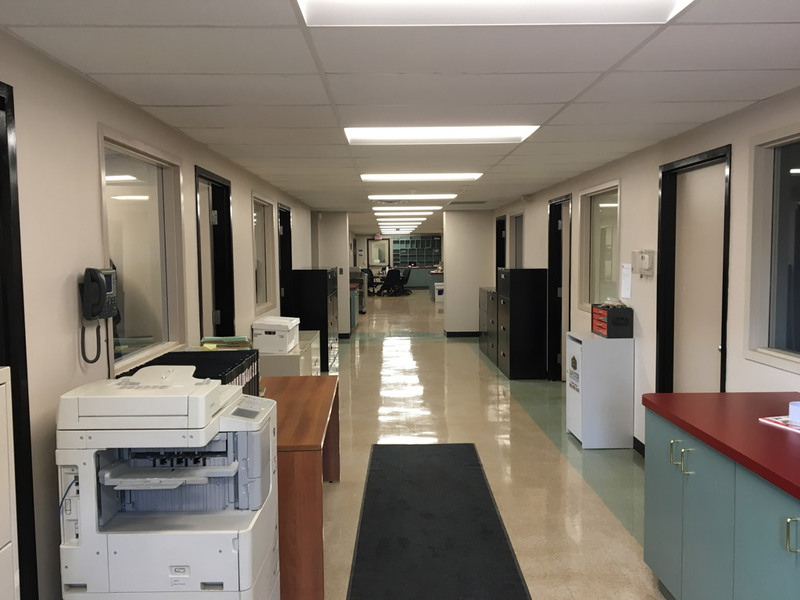 Along with day to day correspondence our state of the art meeting room, hosts weekly production meetings where all departments come together to review and discuss the very progress details and scheduling of all active contracts. 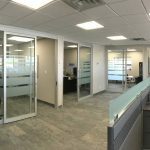 Through advanced audio/video conferencing technologies, communications are unified between branch and field offices. 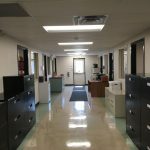 This​ ​section​ ​of​ ​offices​ ​is​ ​dedicated​ ​to​ ​the​ ​administration,​ ​drafting​ ​& processing​ ​of​ ​all​ ​structural​ ​fabrication. 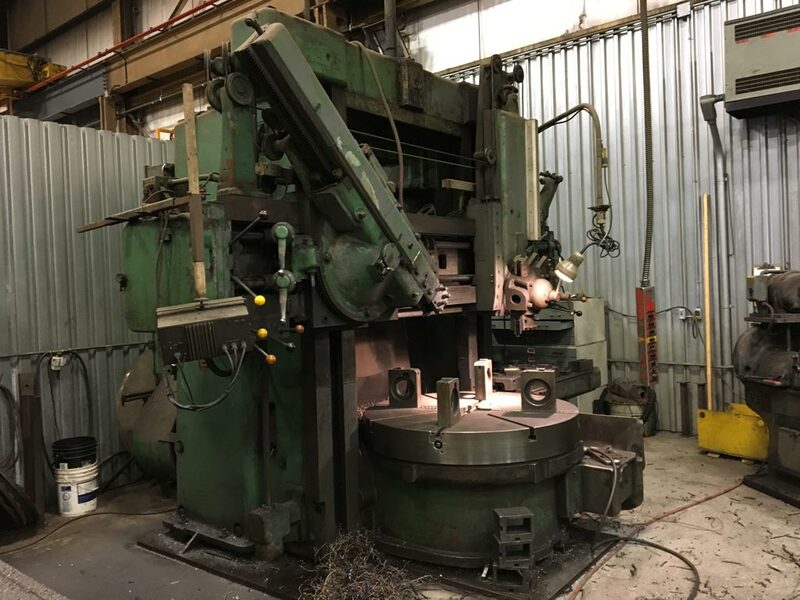 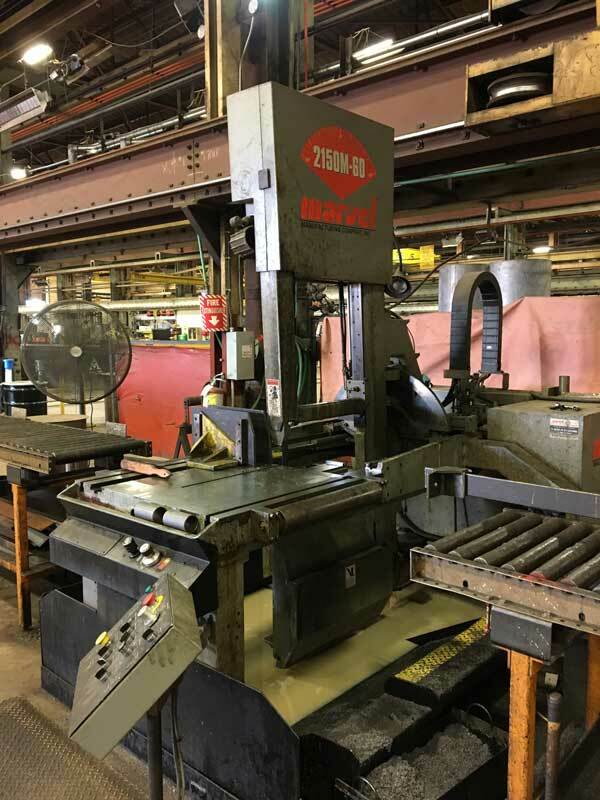 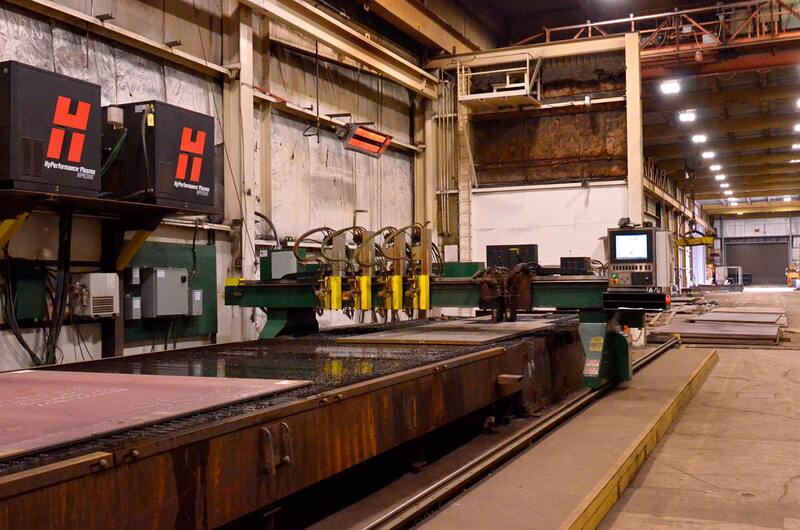 Used for cutting batches of CNC nested detail parts out of large, thick plates. 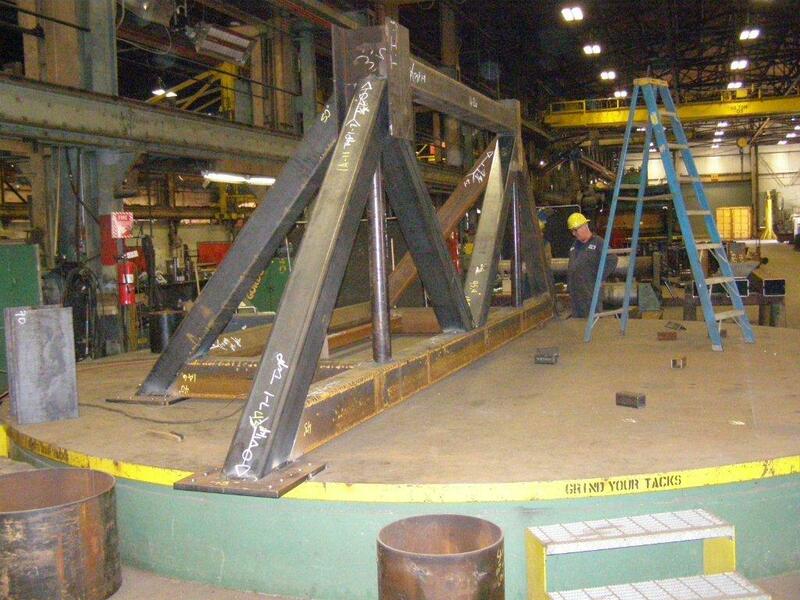 Each of these parts are specifically labeled and later fabricated onto their intended structures. 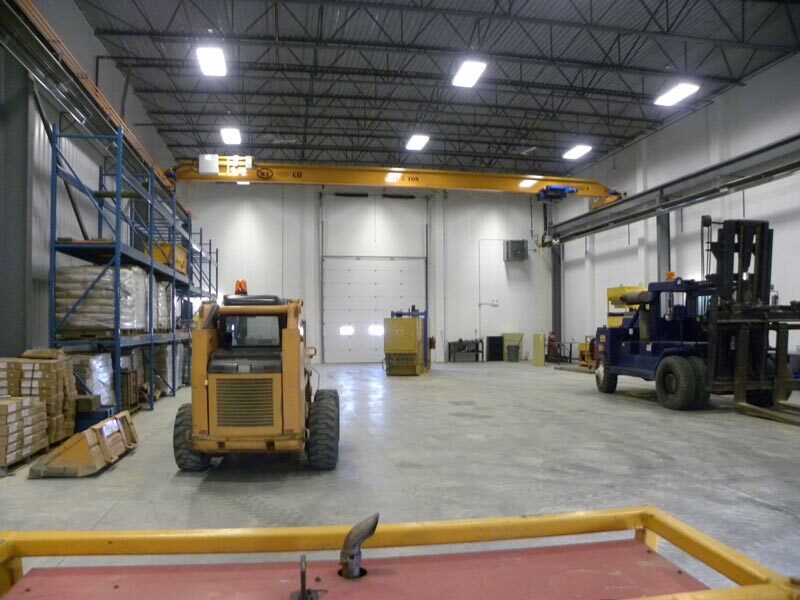 Equipped with multiple overhead cranes, this indoor bay serves as short-term storage for various equipment and plate products. 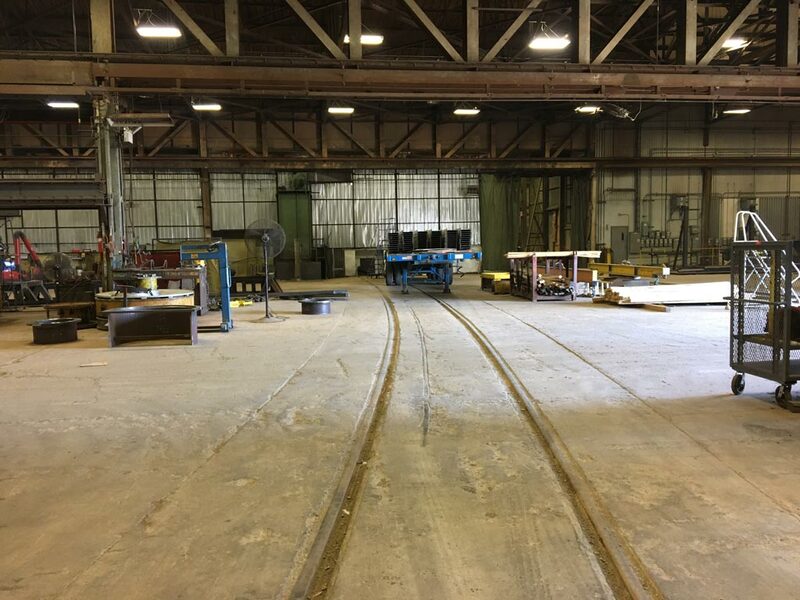 One of 3 rail spurs. 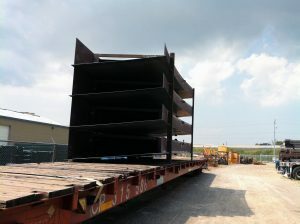 This outdoor spur serves as the primary line for loading outgoing materials destined for field erection. One of 3 rail spurs. 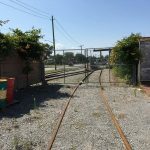 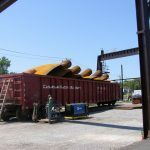 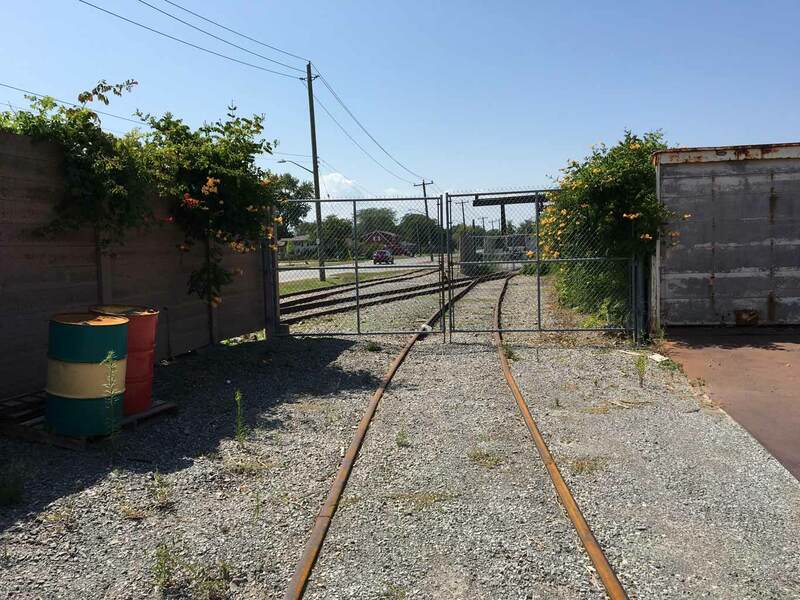 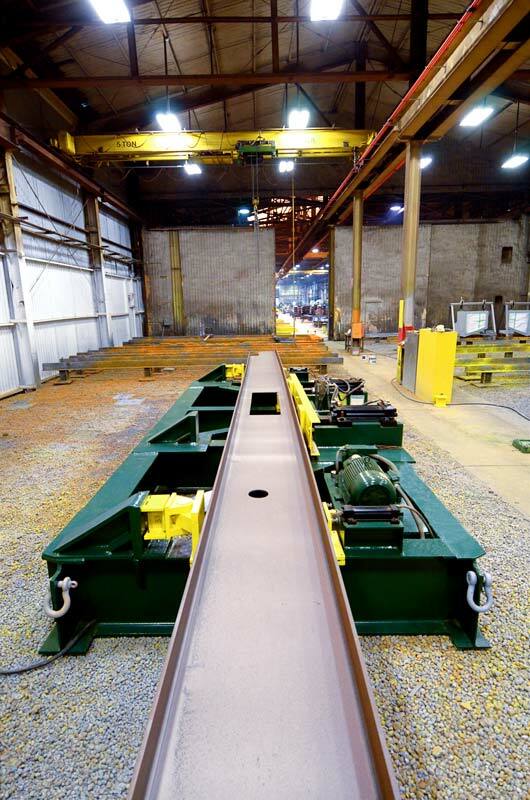 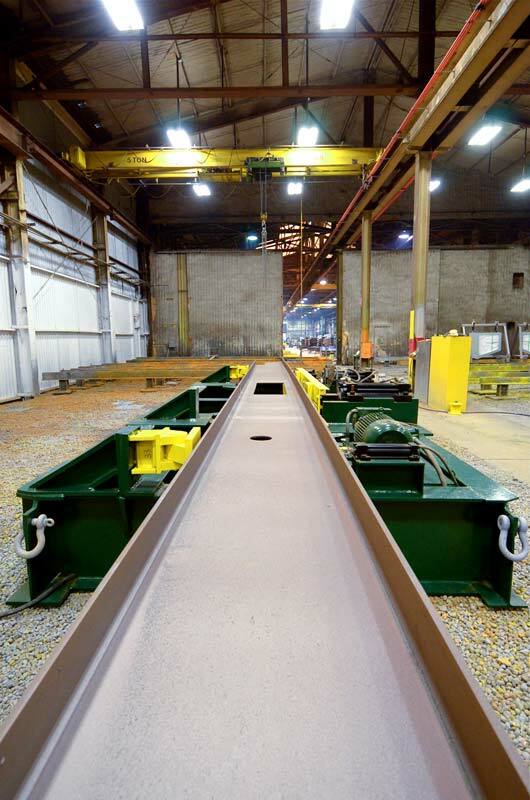 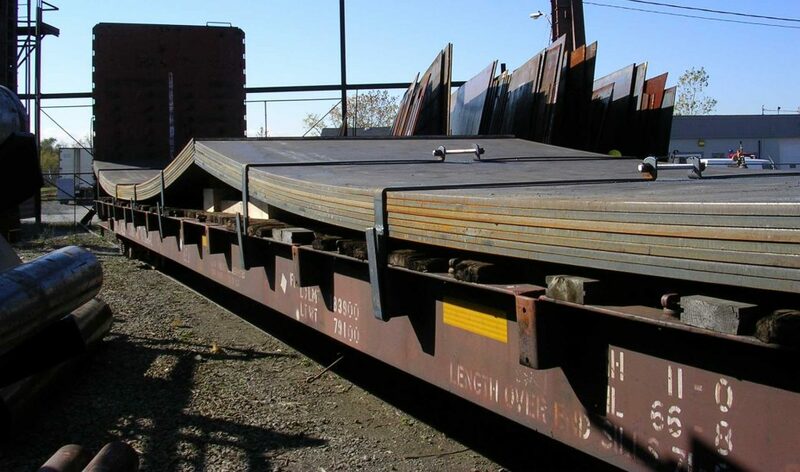 This outdoor spur serves incoming rail shipments for receipt of raw materials. 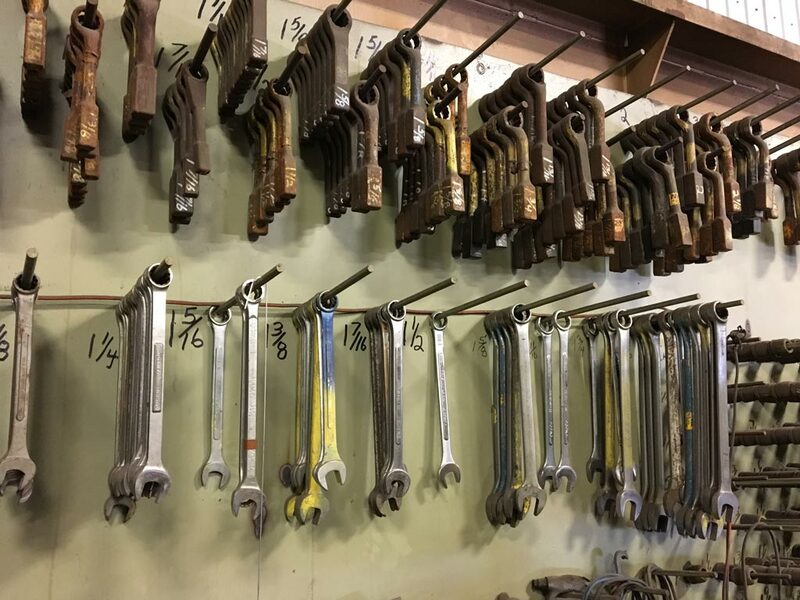 Your browser is too old. 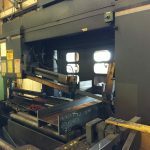 To use the interactive tour on this page, please use Chrome or Firefox. 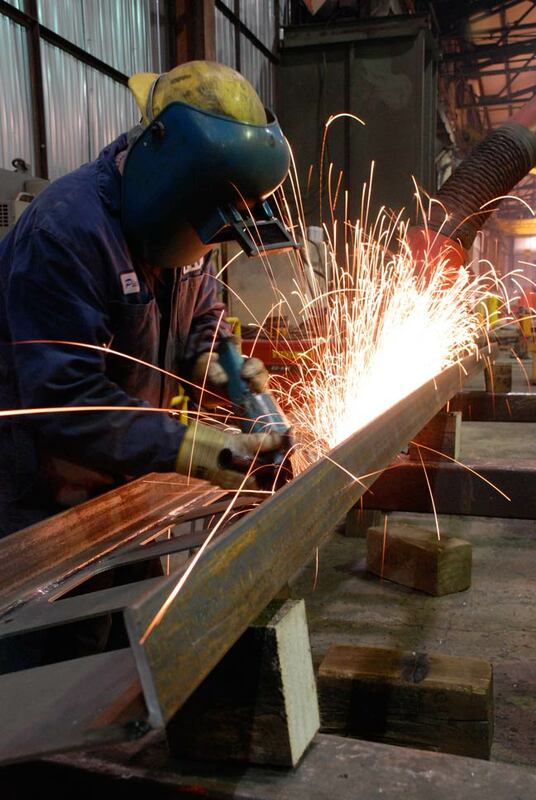 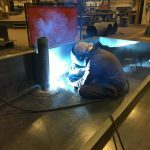 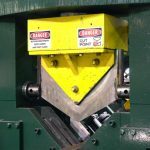 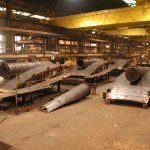 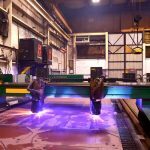 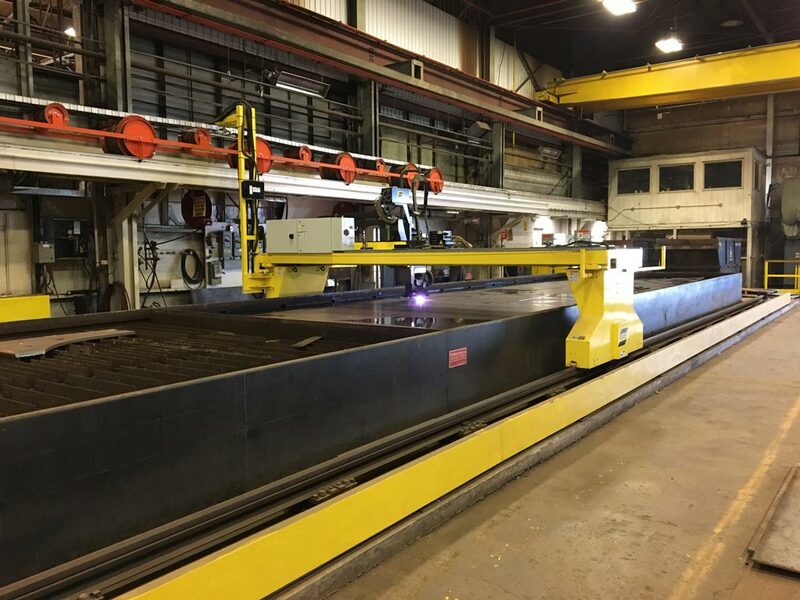 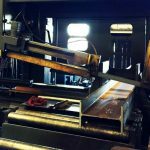 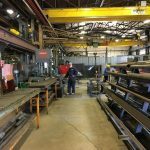 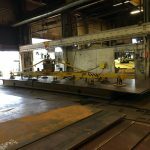 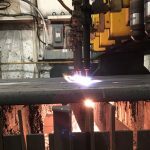 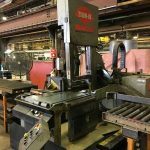 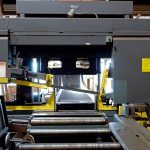 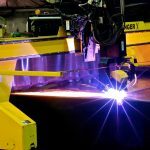 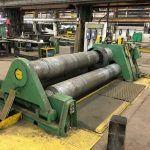 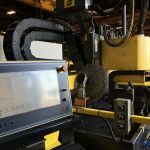 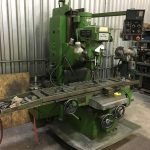 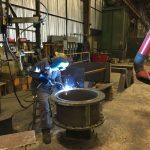 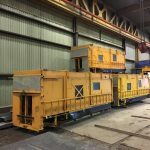 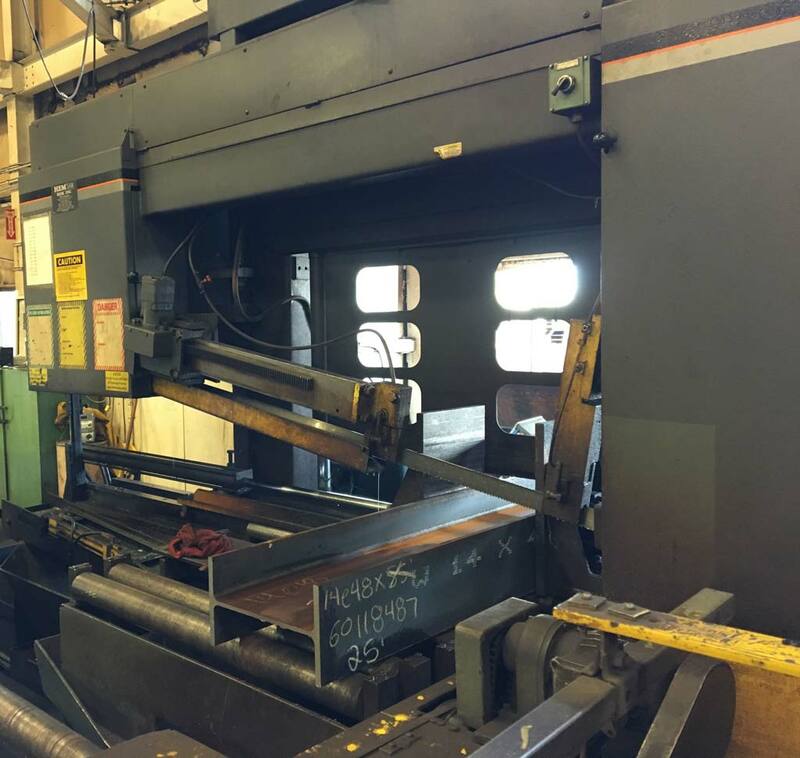 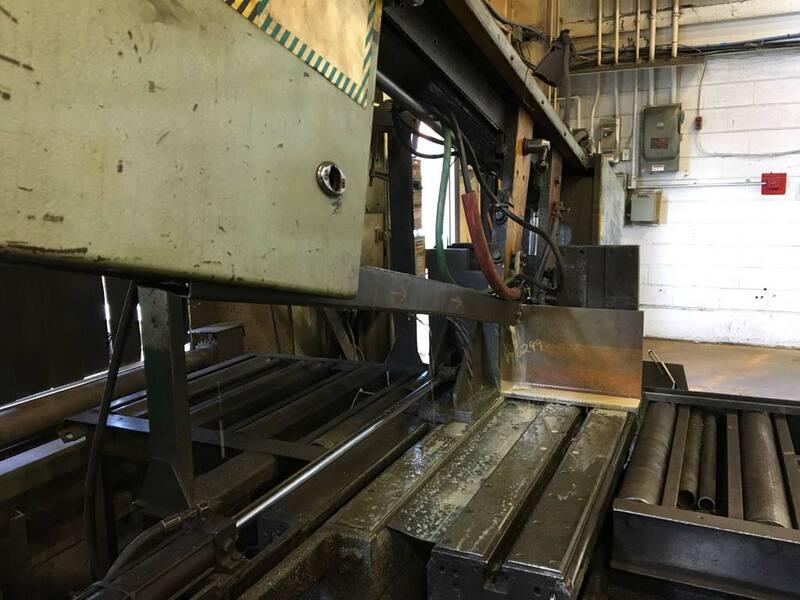 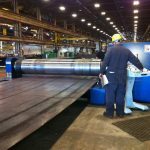 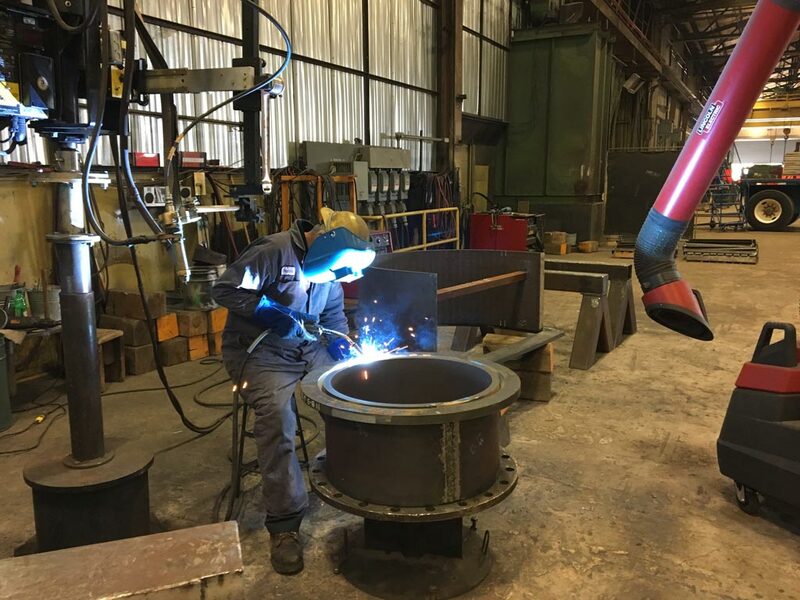 Our steel shop contains the latest in steel fabrication machinery and is regularly updated to keep up with both technical and safety standards. 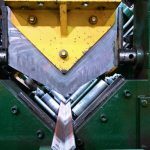 The key to producing a high quality product lies in exceptional coordination among every employee on the floor. 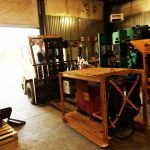 Our shop supervisors and inspectors also play an integral role, ensuring smooth and accurate production takes place from layout to final inspection, and that we maintain the high standard of quality that has earned TIW its stellar reputation for dependability. 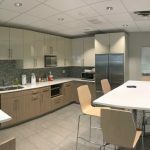 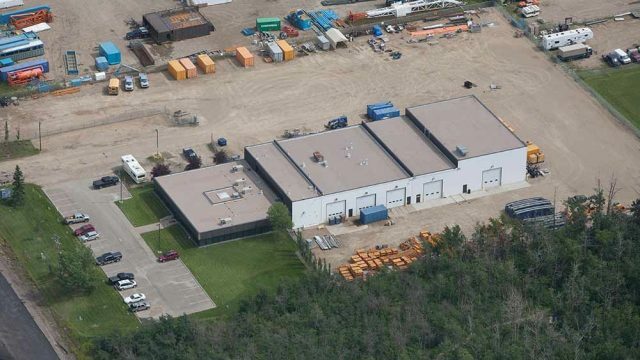 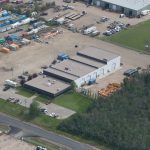 The Nisku facility serves the Western Canada marketplace, providing office space for sales, conferences, meetings and routine training as well as a home office where western Project and Construction personnel are based. 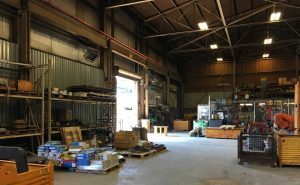 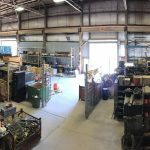 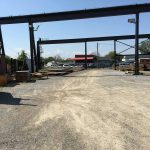 On a four-acre lot, this large 23,000 square foot facility serves as a depot, housing large fleets of construction tools and equipment between jobs. 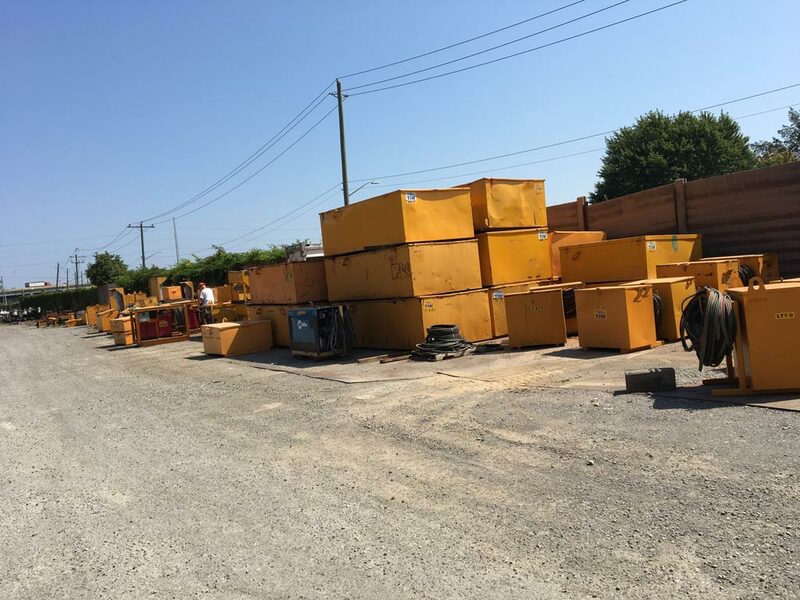 Highly trained and ticketed heavy duty mechanics are stationed here, providing routine service, maintenance and repair to TIW equipment such as compressors, generators, skid steers, trucks and trailers. 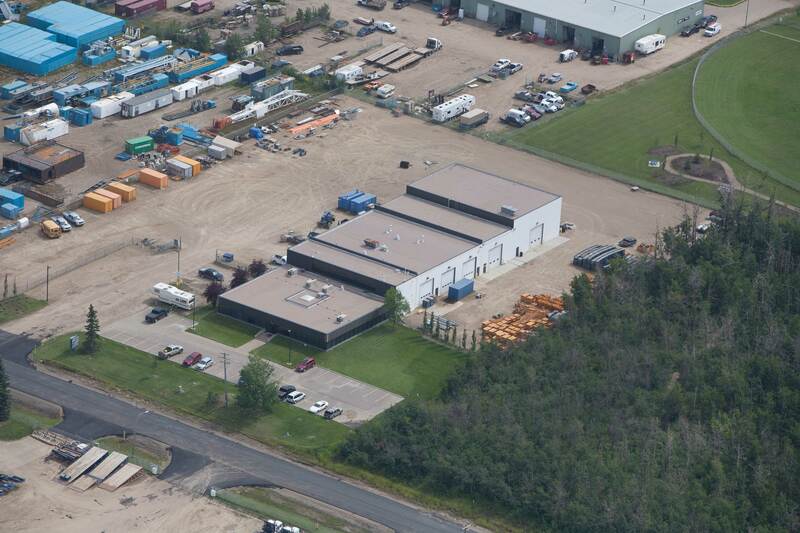 The service vehicles that take our mechanics to onsite repair jobs across Alberta are parked on this property. 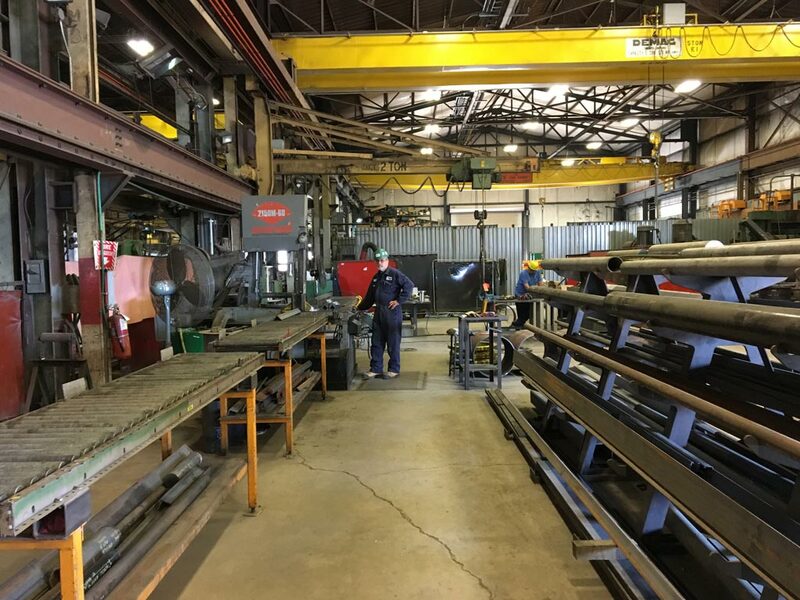 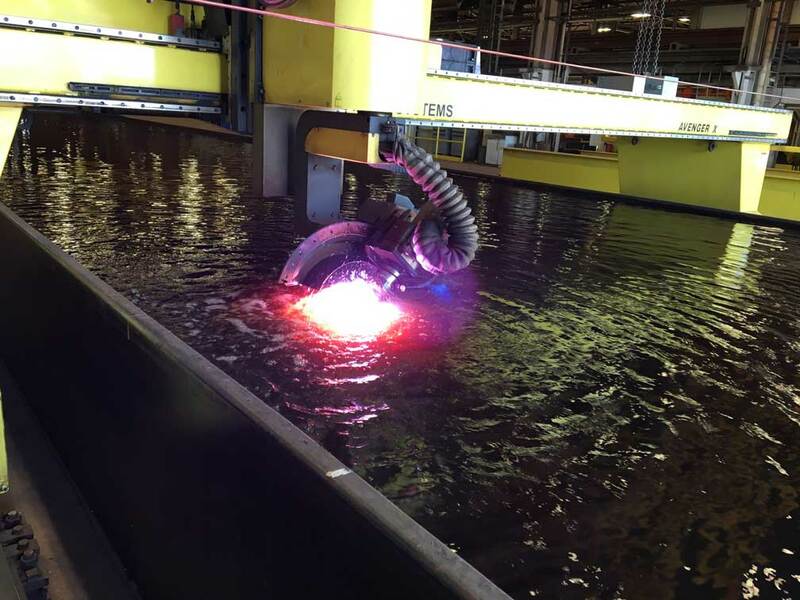 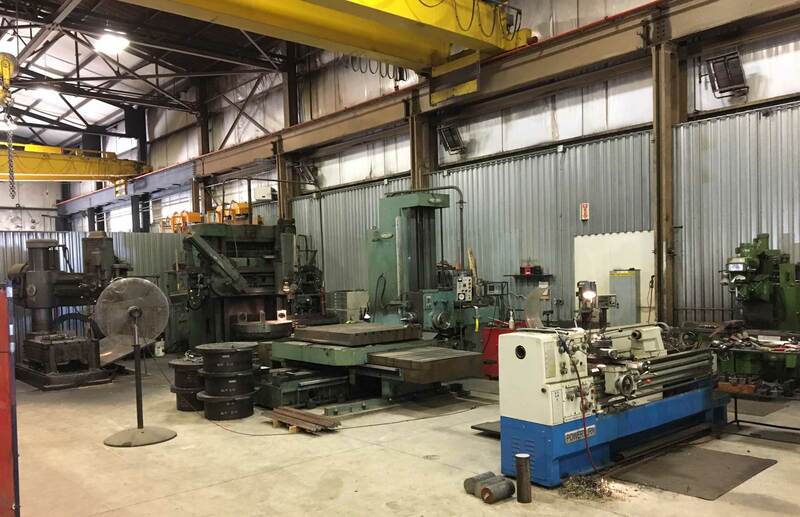 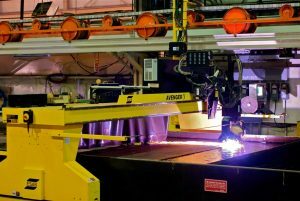 The Nisku facility is also used for light duty mechanical work such as welding, fabrication and and tool repair. 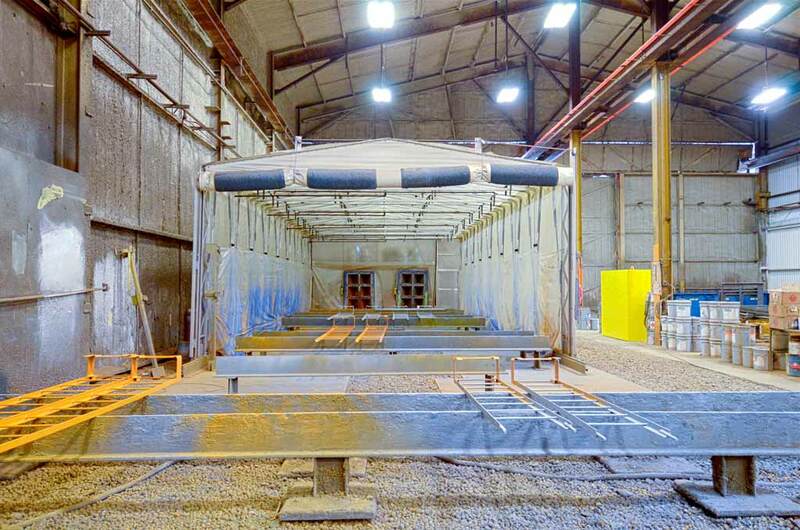 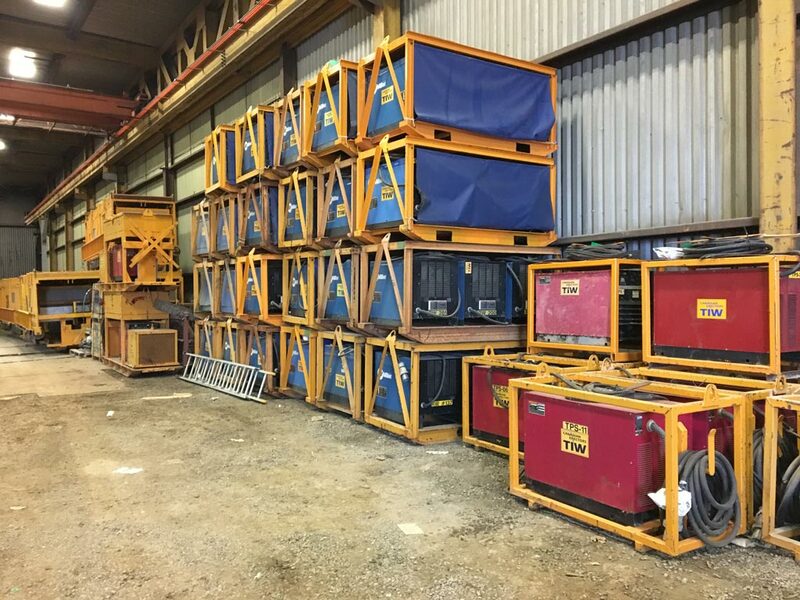 Several welding booths are used to prequalify welders before being dispatched to remote jobsites. 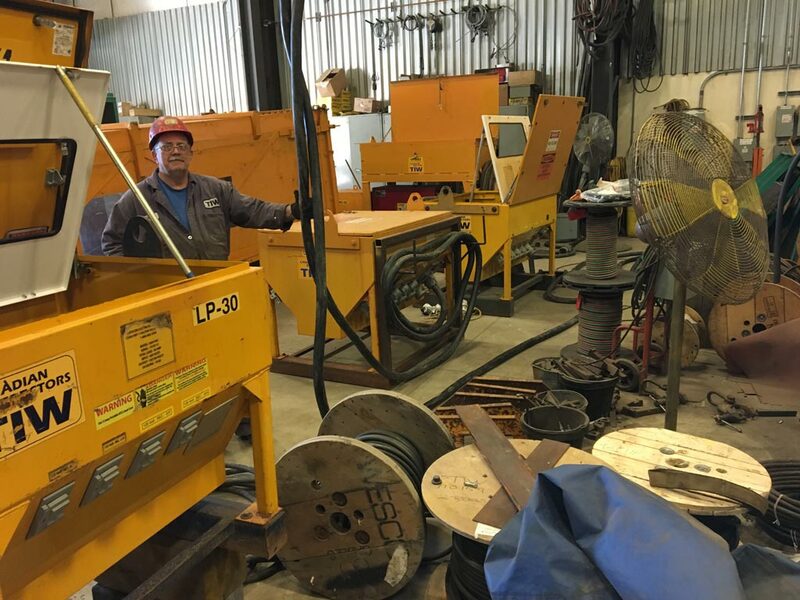 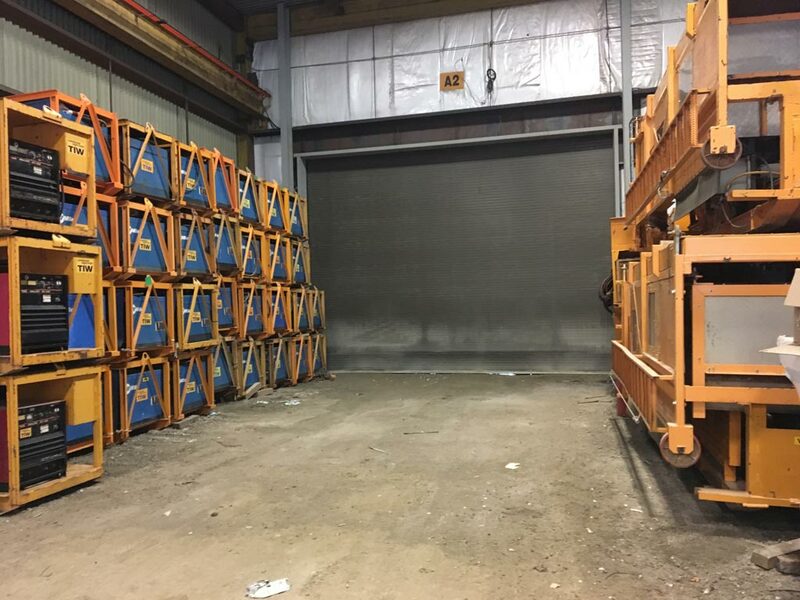 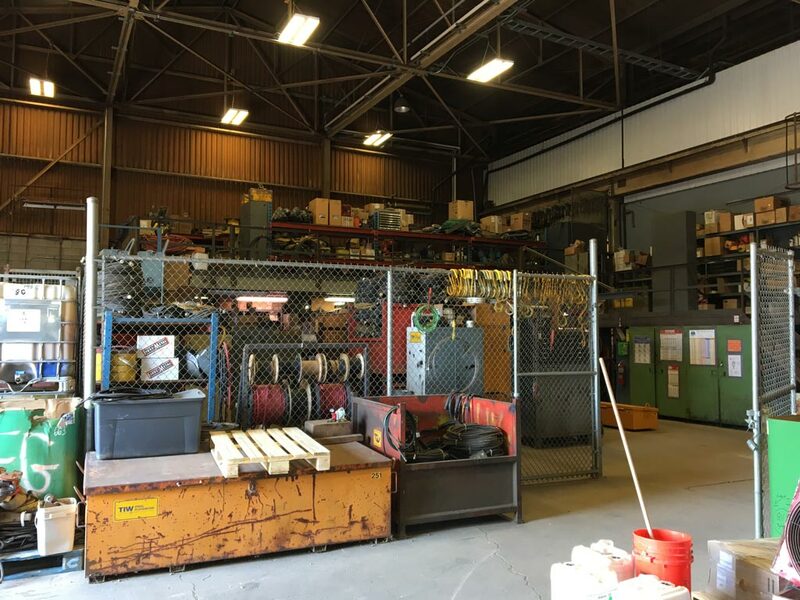 Within the 6000 square foot maintenance shop facility, you’ll find a loading area where equipment is loaded and offloaded. 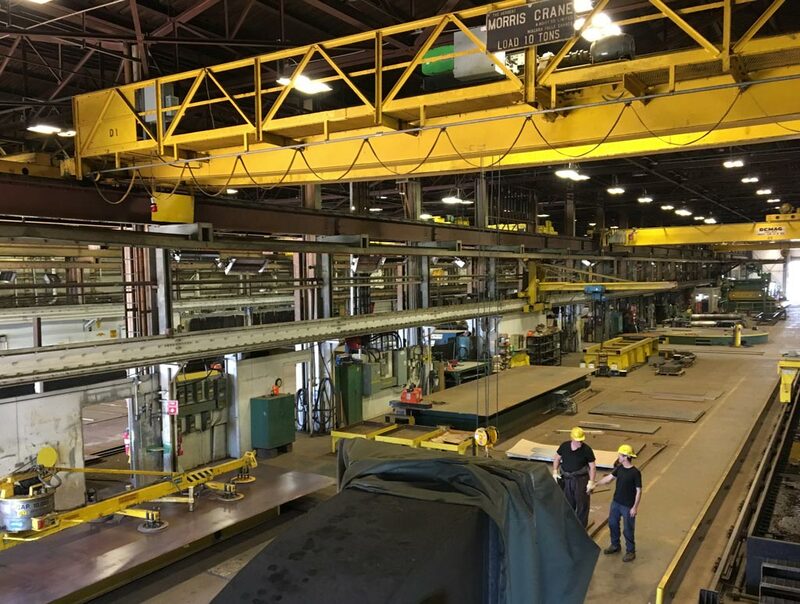 A large forklift with a lifting capacity of 25,000 pounds awaits, along with an overhead crane with a lifting capacity of 5 tons. 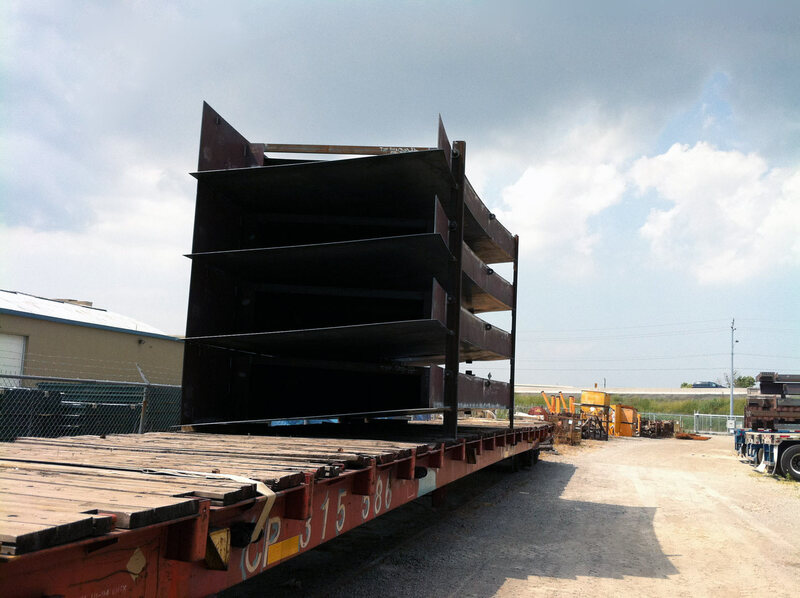 With two overhead doors, a 53-foot highboy trailer can easily drive through for easy offloading. 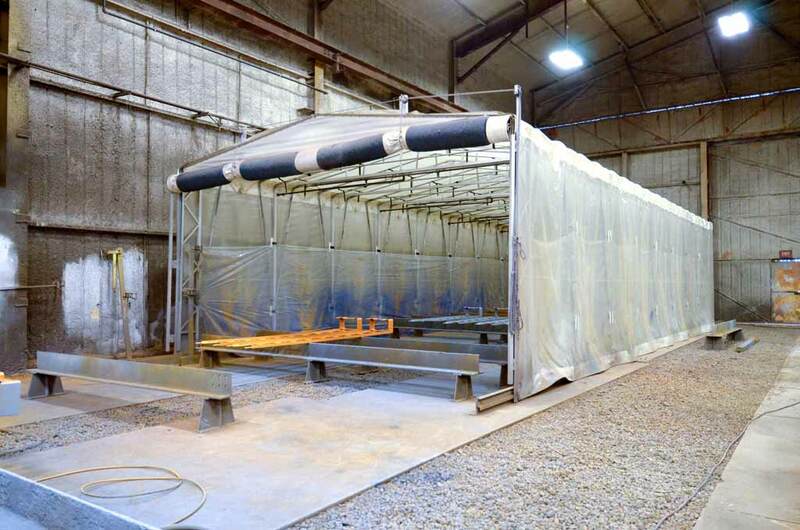 A separate full-sized drive through wash bay is used for cleaning and servicing trucks & equipment.